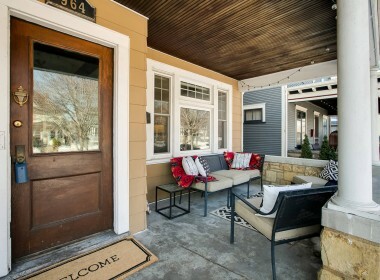 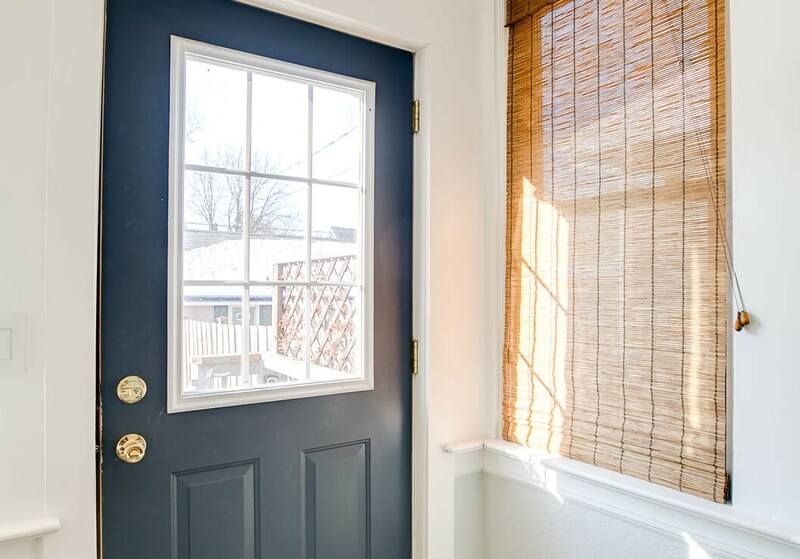 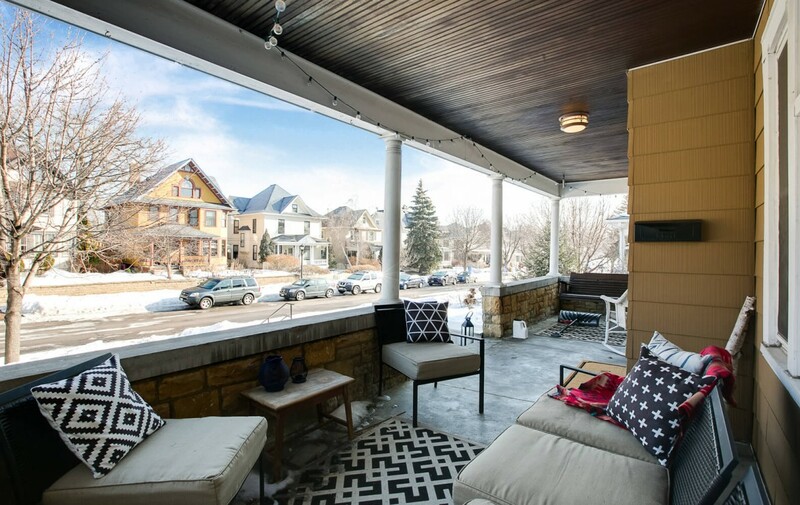 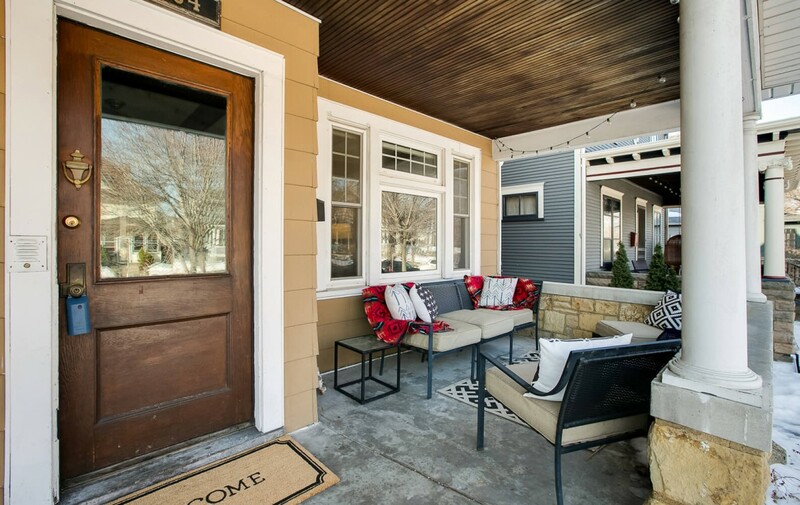 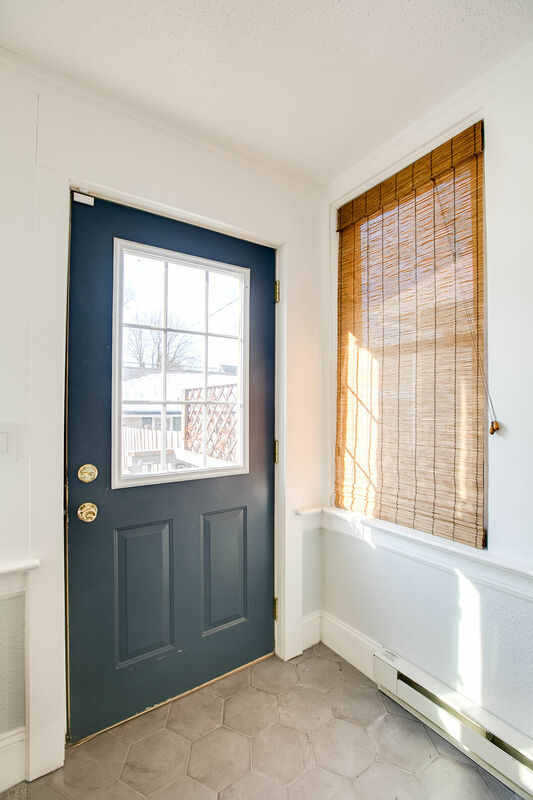 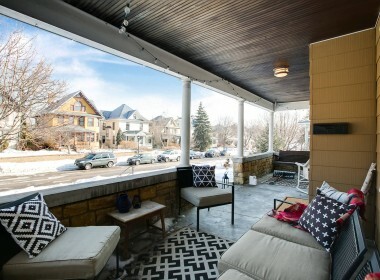 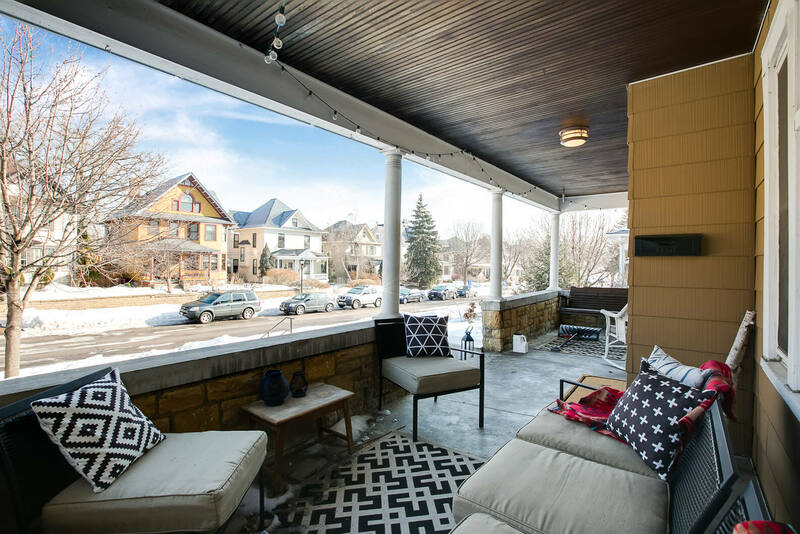 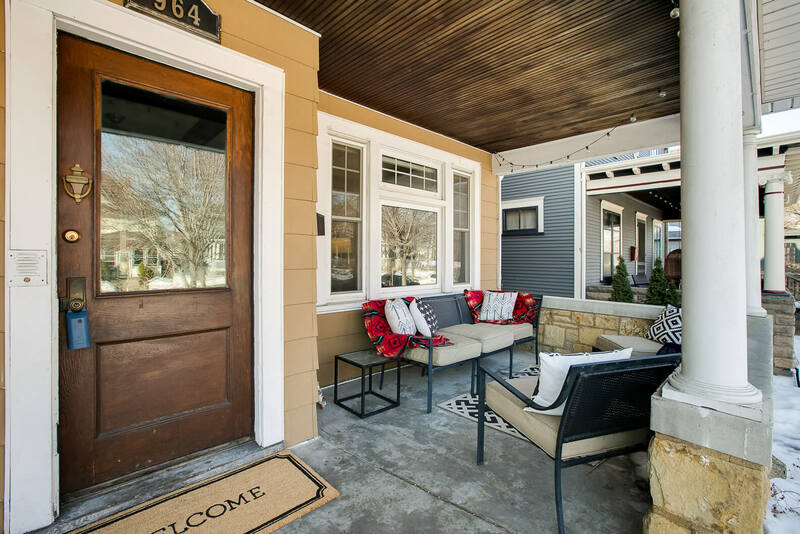 A large front porch welcomes you home and invites you to relax – imagine spending warm spring mornings sipping your coffee here, just watching the neighborhood wake up! 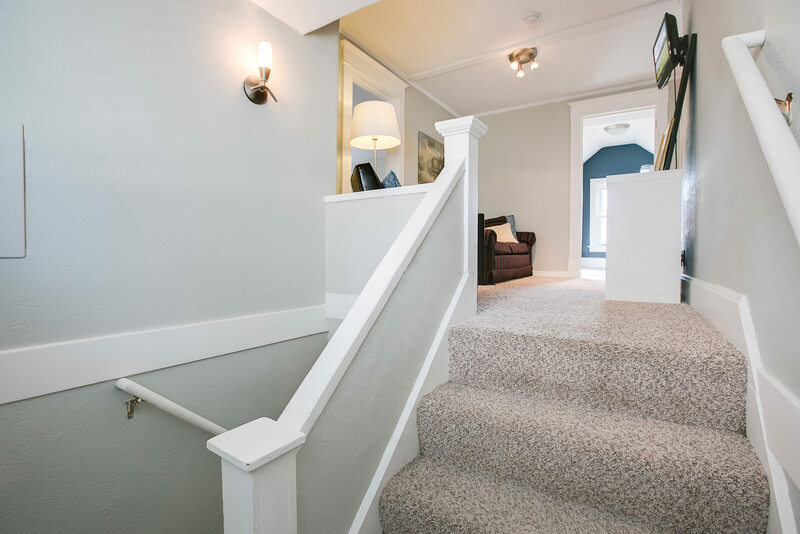 Step inside and into a world of sophisticated elegance and timeless charm. 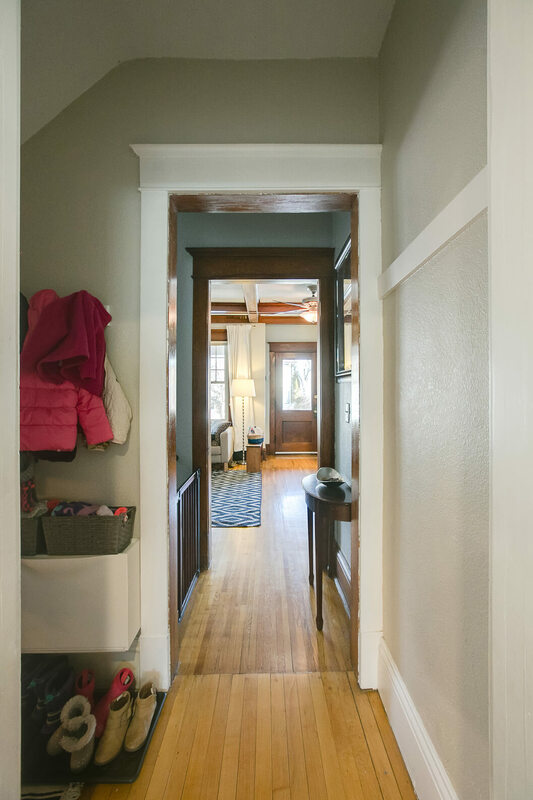 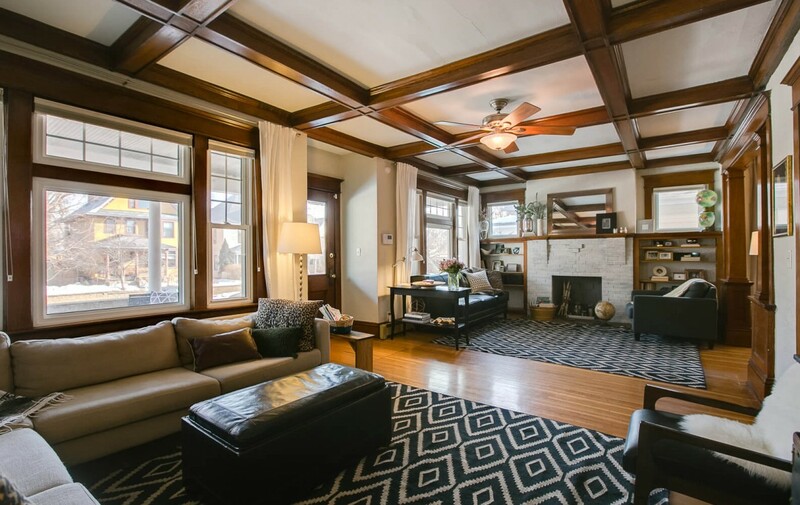 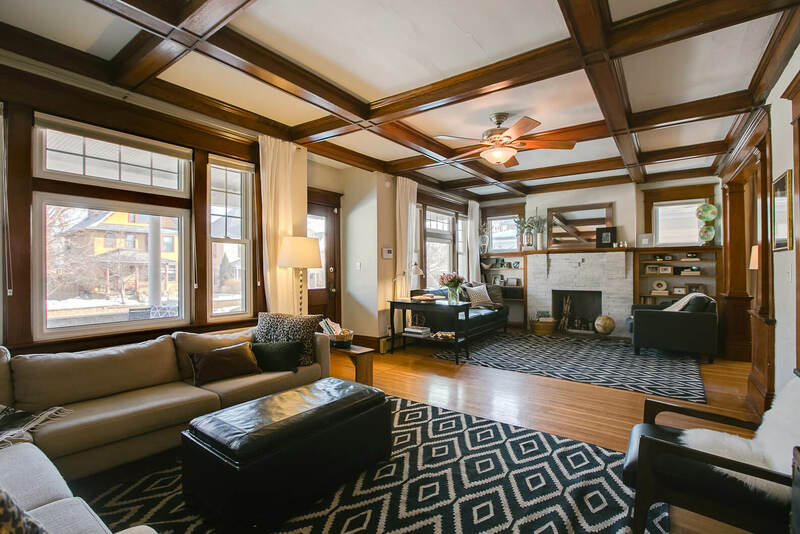 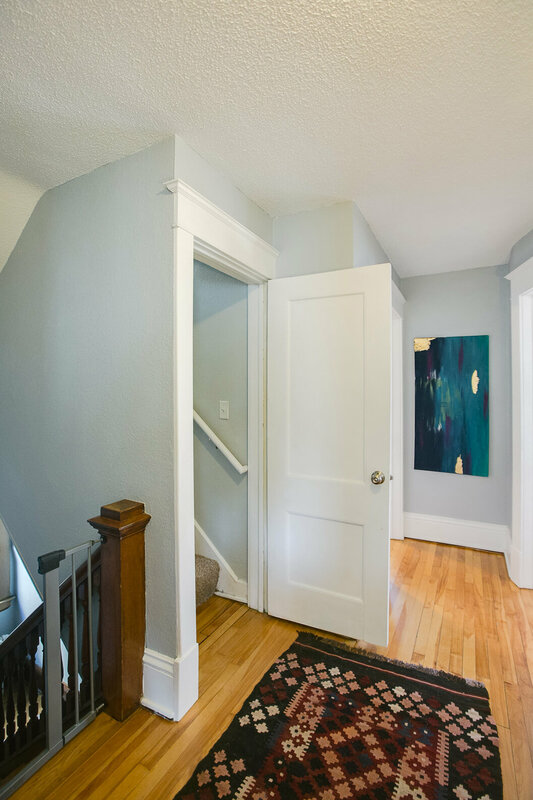 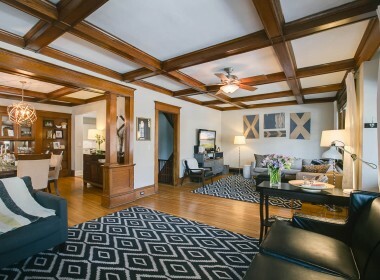 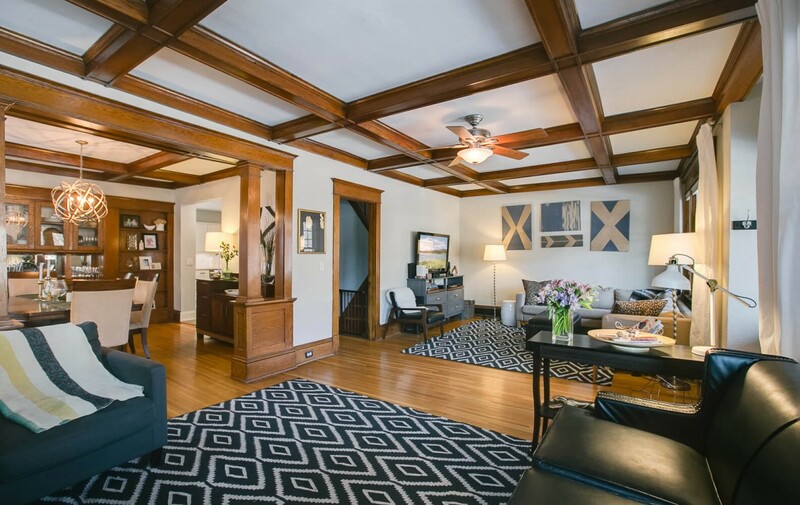 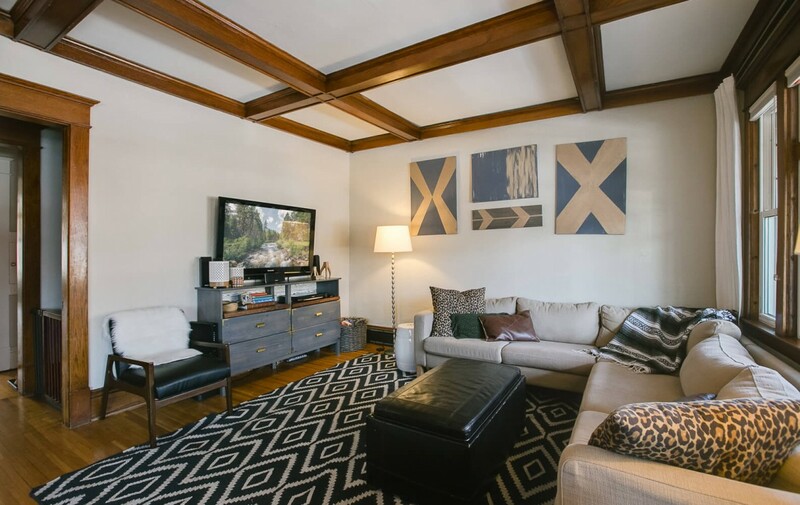 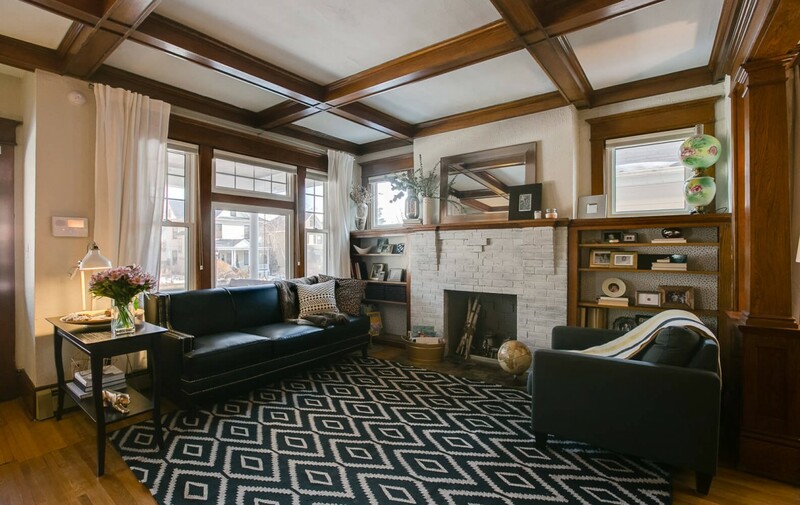 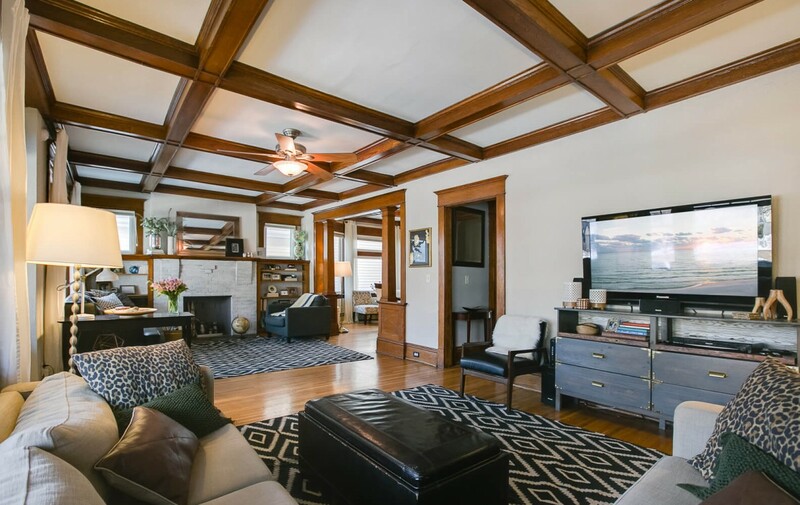 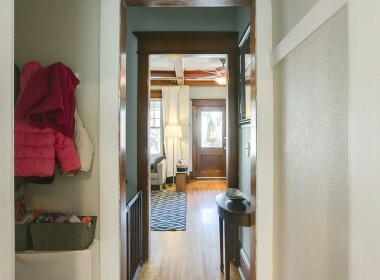 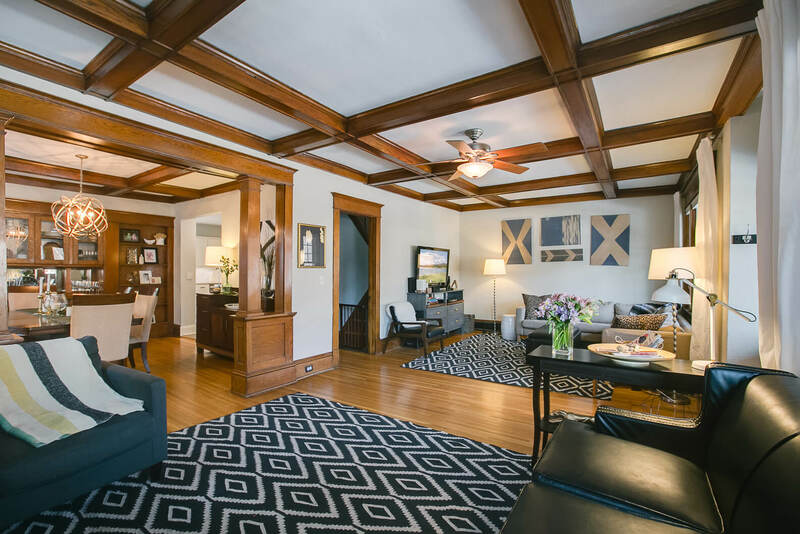 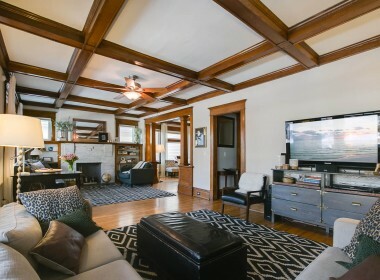 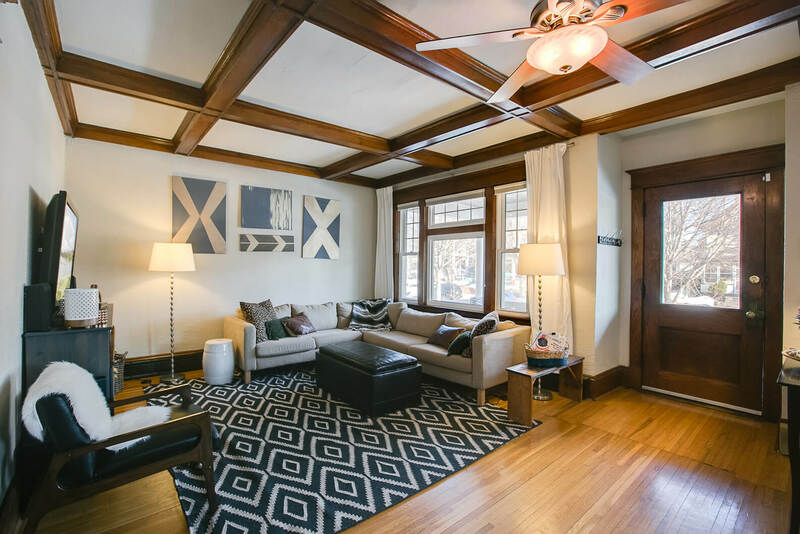 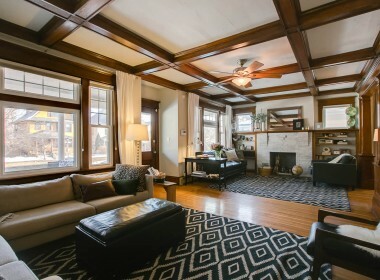 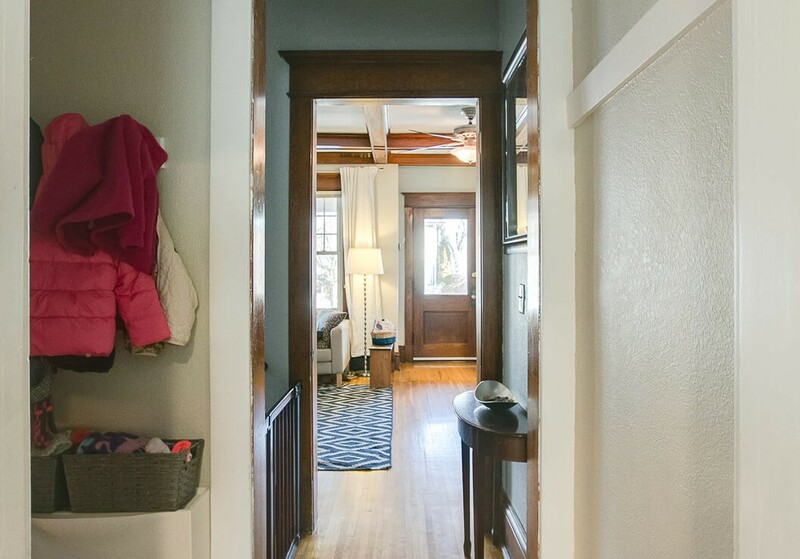 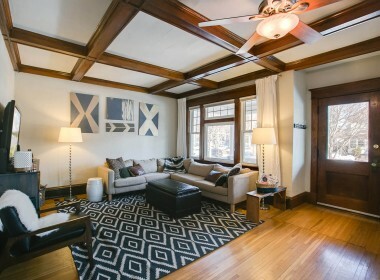 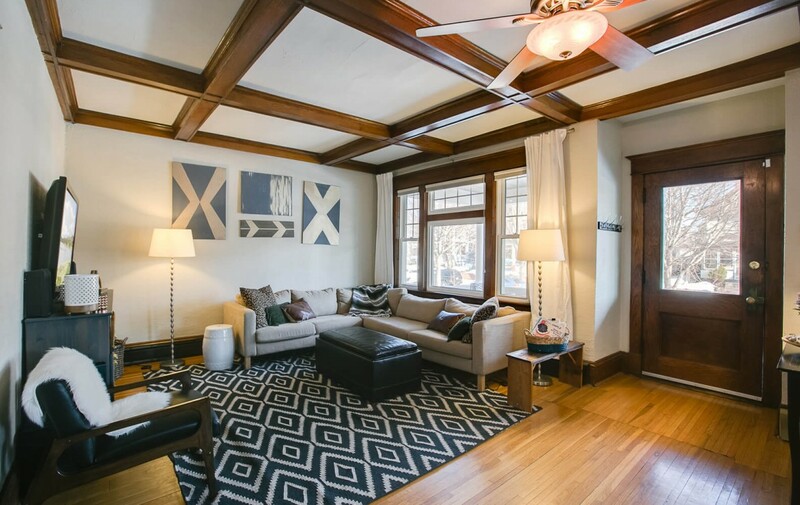 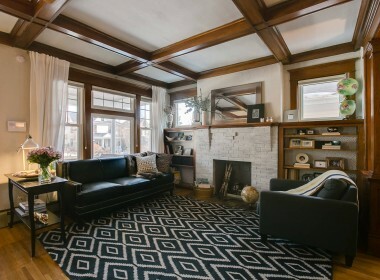 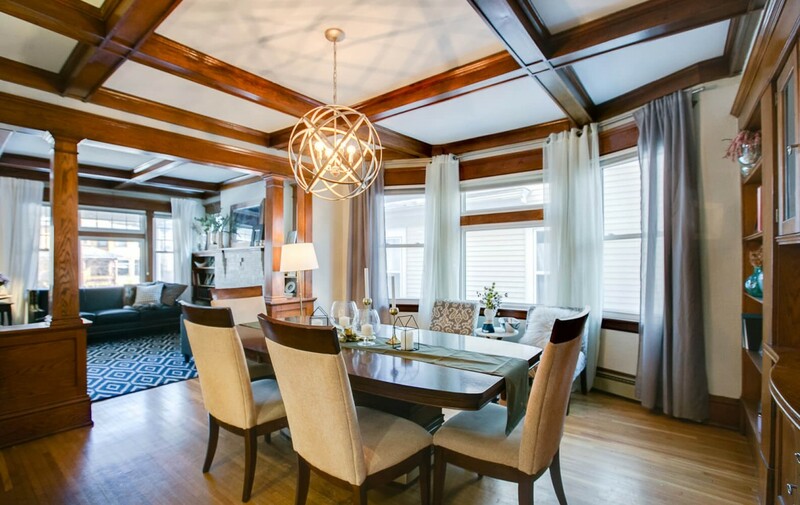 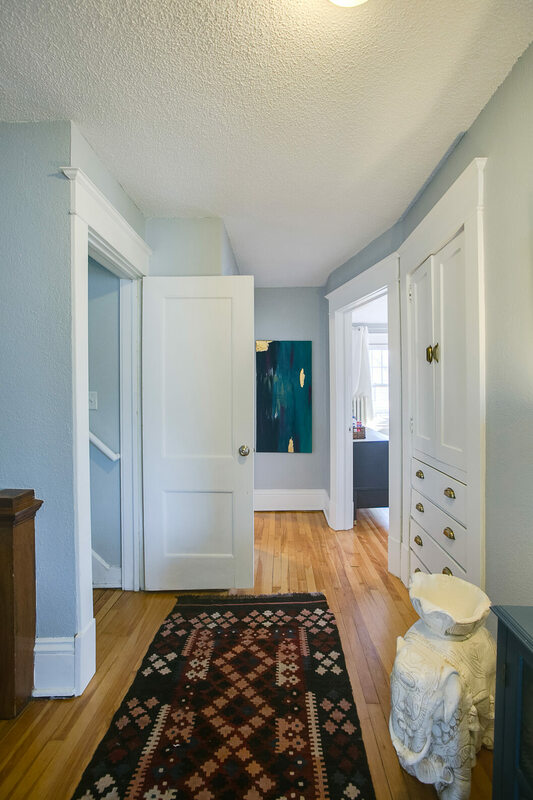 From the box beam ceilings and extensive natural woodwork to the gleaming hardwood floors, old world charm oozes from every corner. 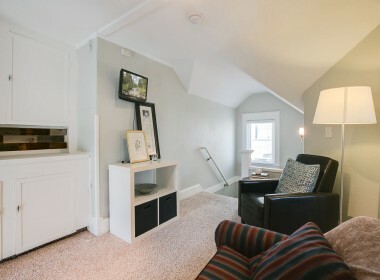 A handsome brick fireplace flanked by bookshelves urges you to cozy up with a book on rainy days. 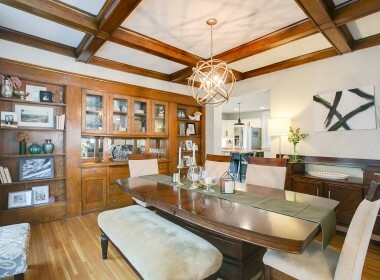 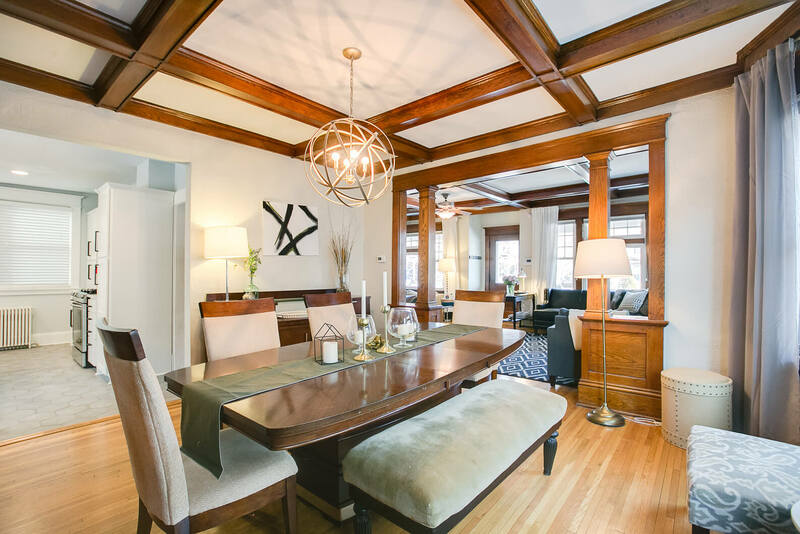 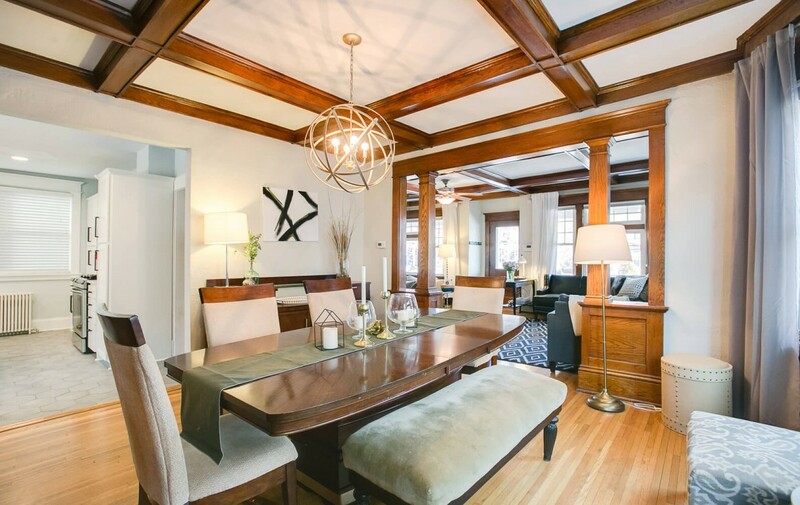 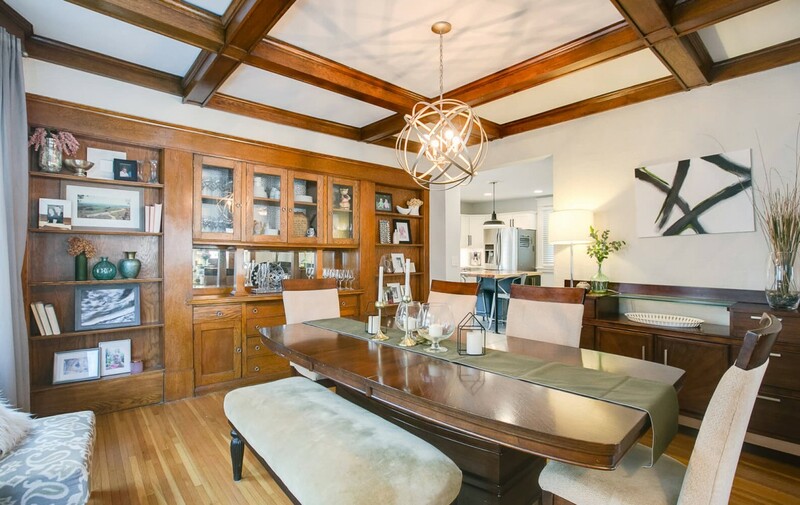 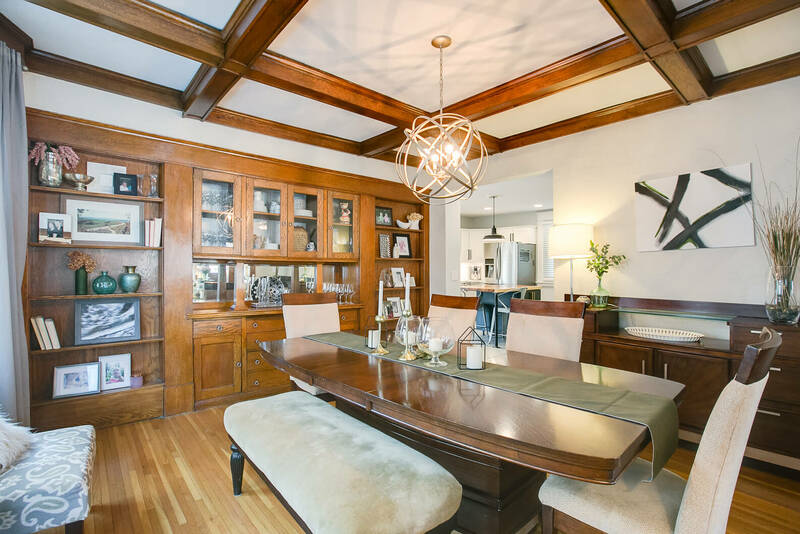 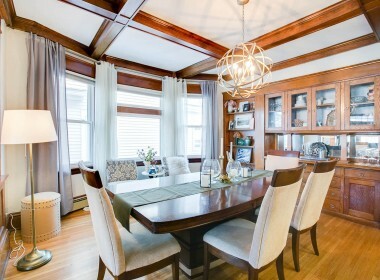 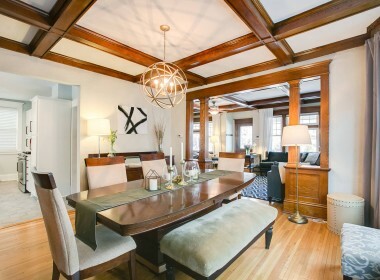 Dramatic columns lead to the formal dining room, where the charm and natural woodwork continue. 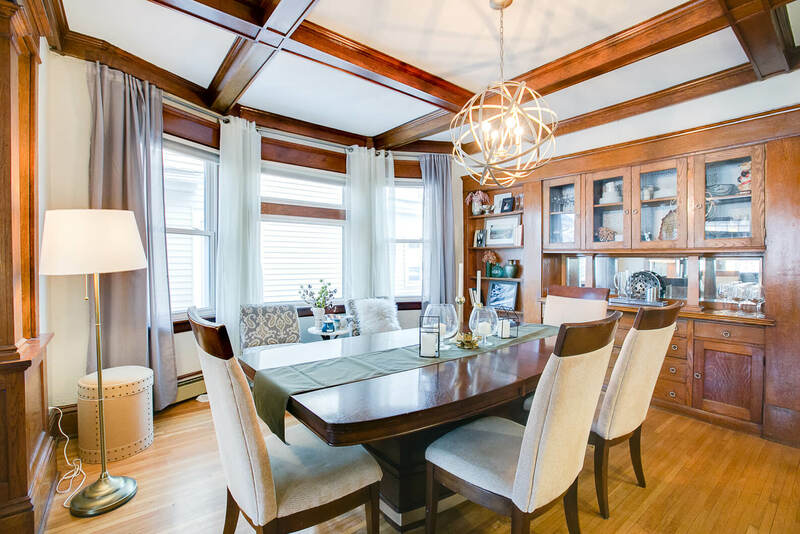 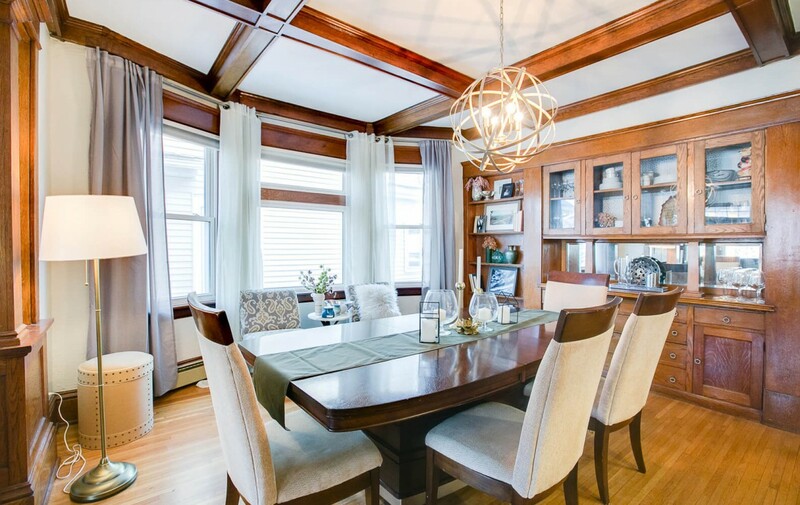 Showcasing a stunning wall-to-wall built-in buffet, exquisite woodwork and hardwood floors, plus centrally located between the living room and kitchen, the period detailing of the dining room creates the perfect backdrop for entertaining and hosting grand parties. 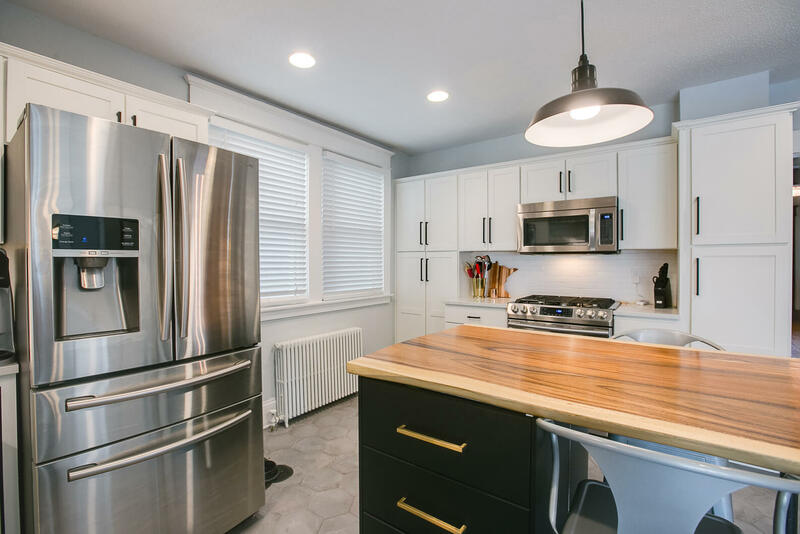 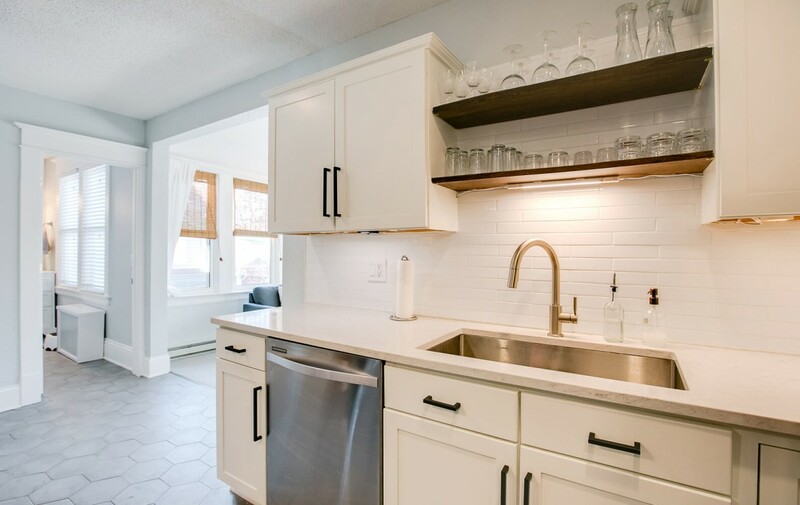 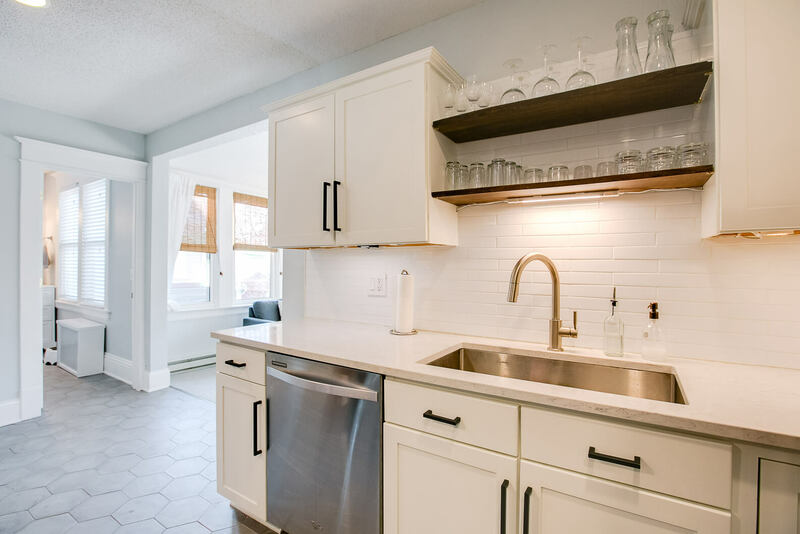 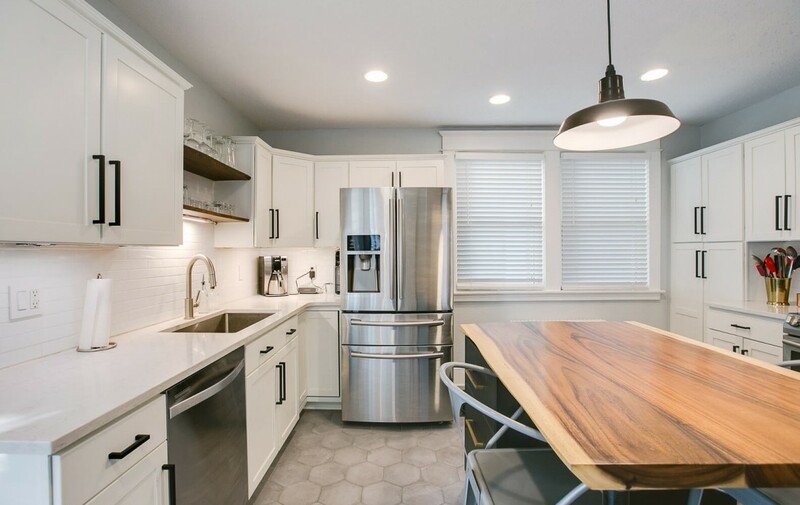 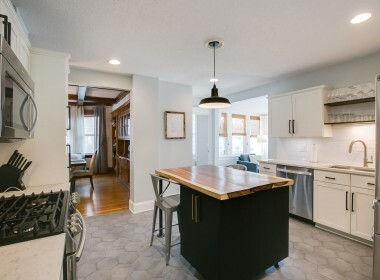 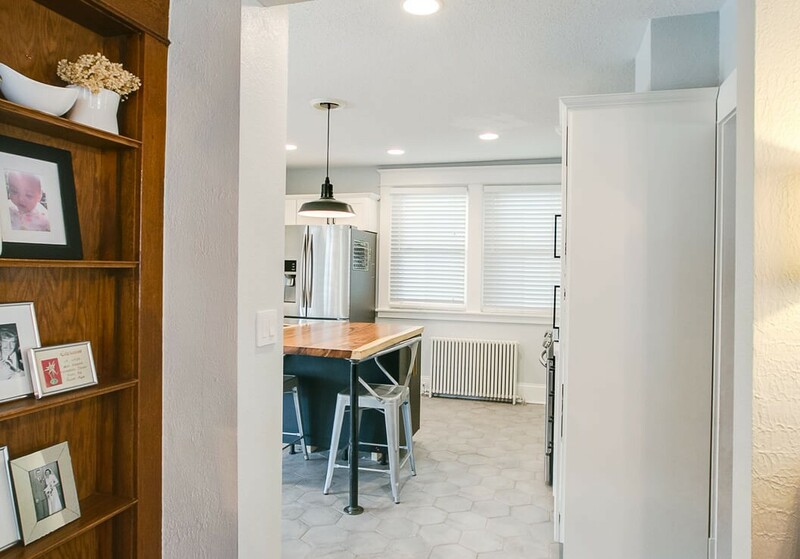 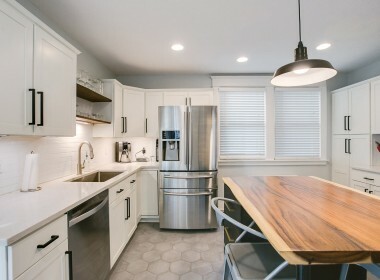 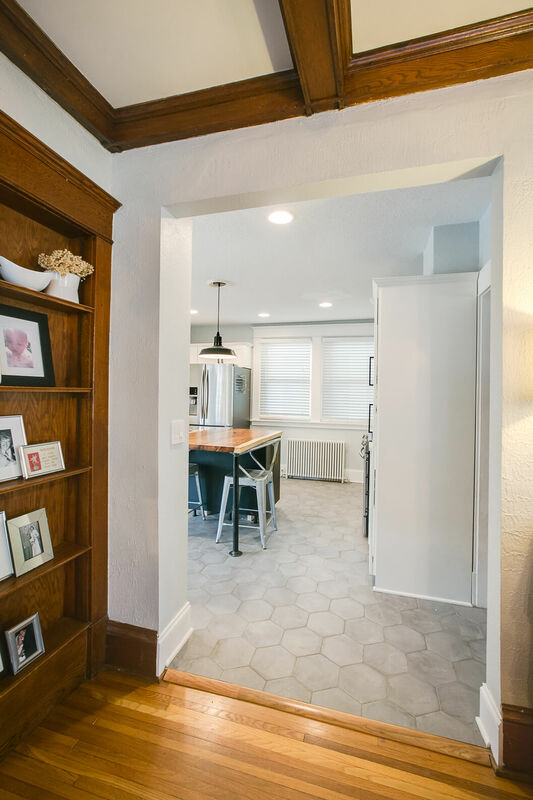 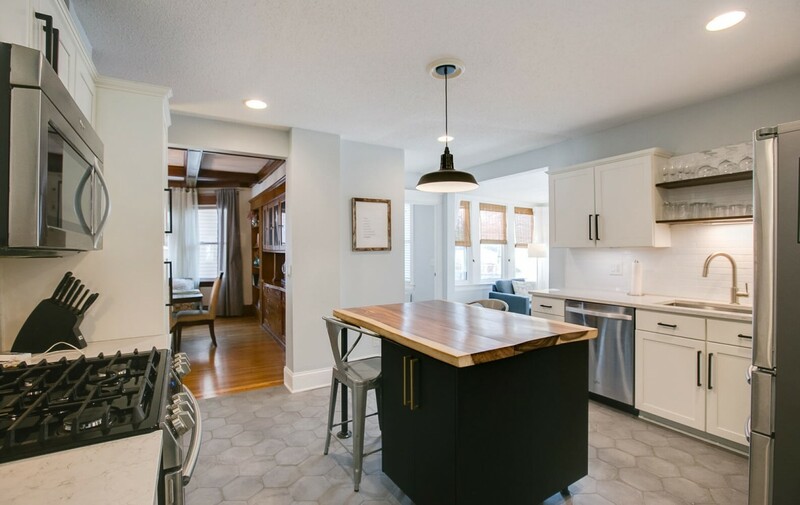 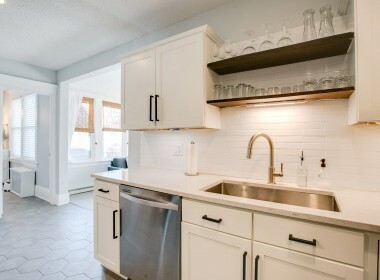 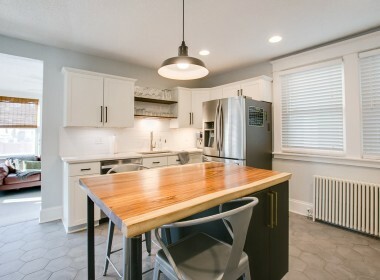 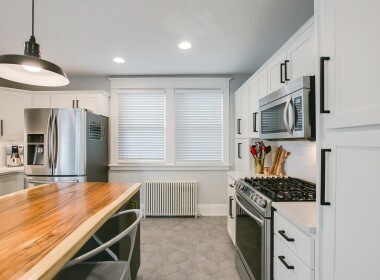 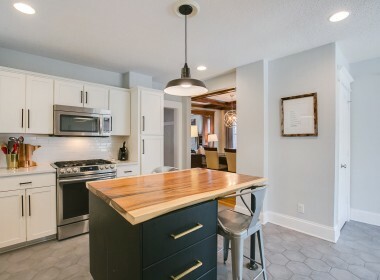 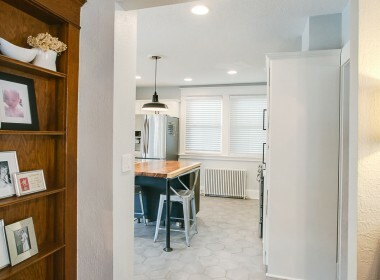 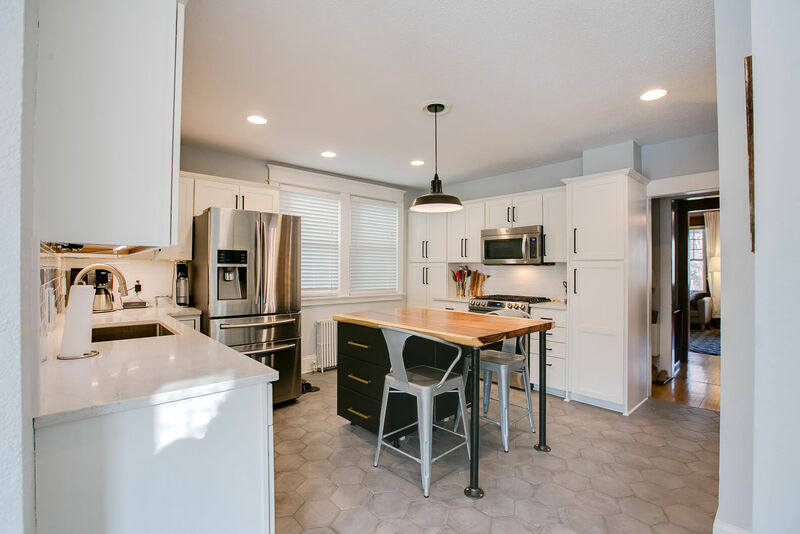 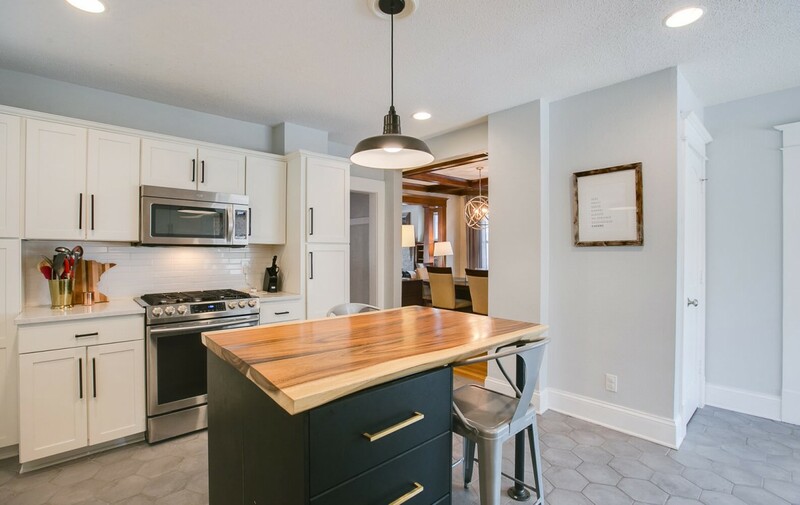 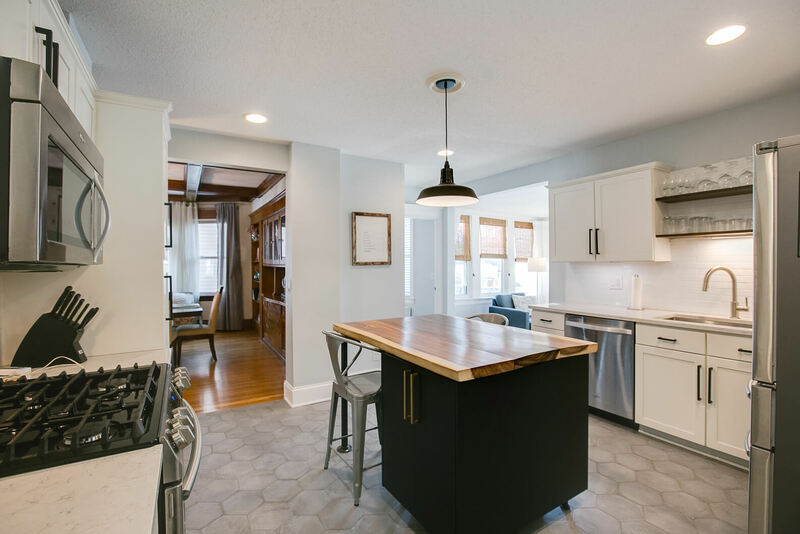 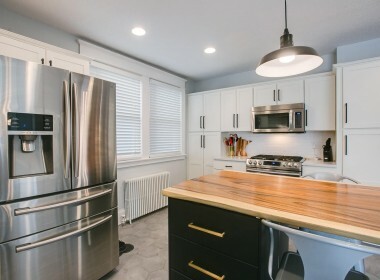 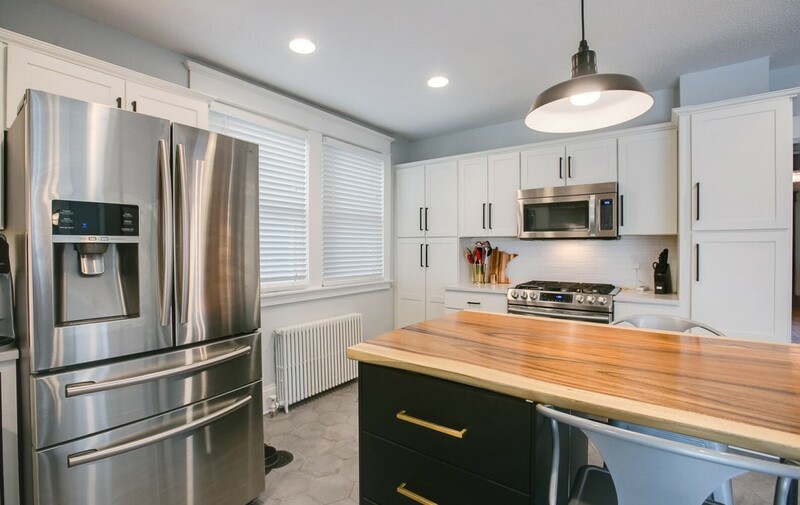 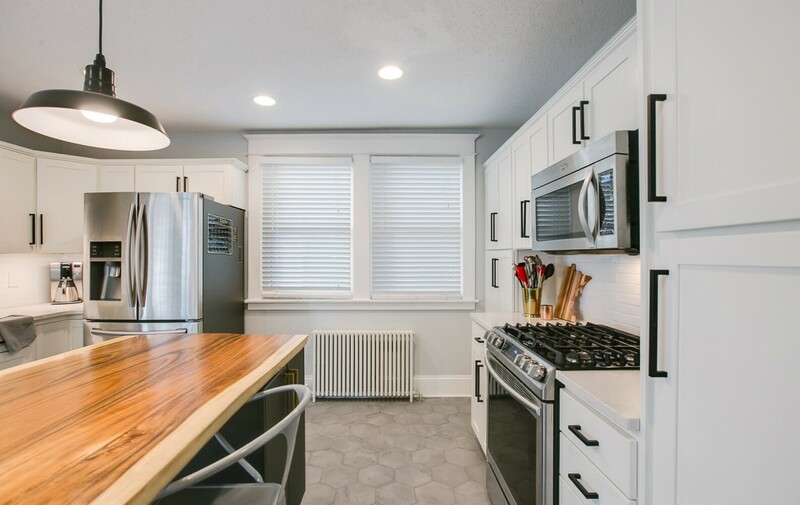 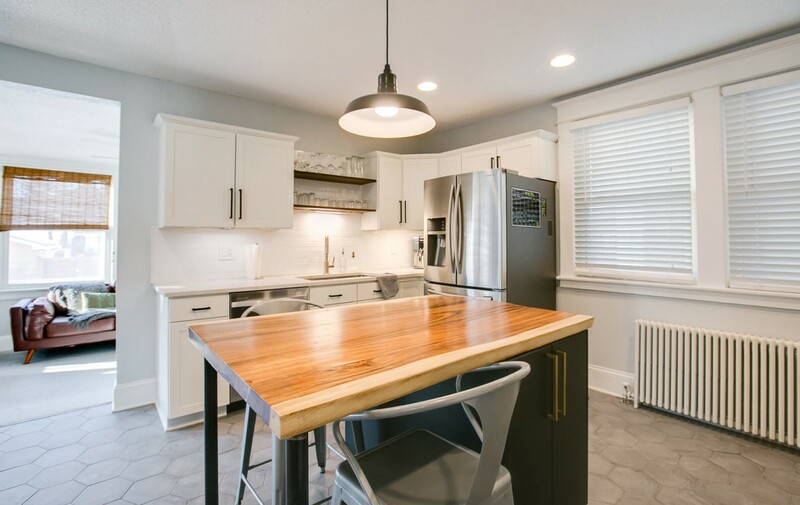 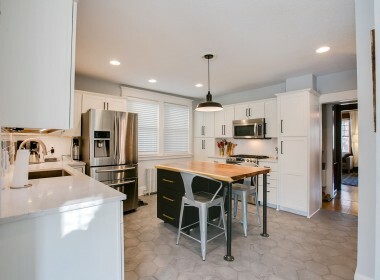 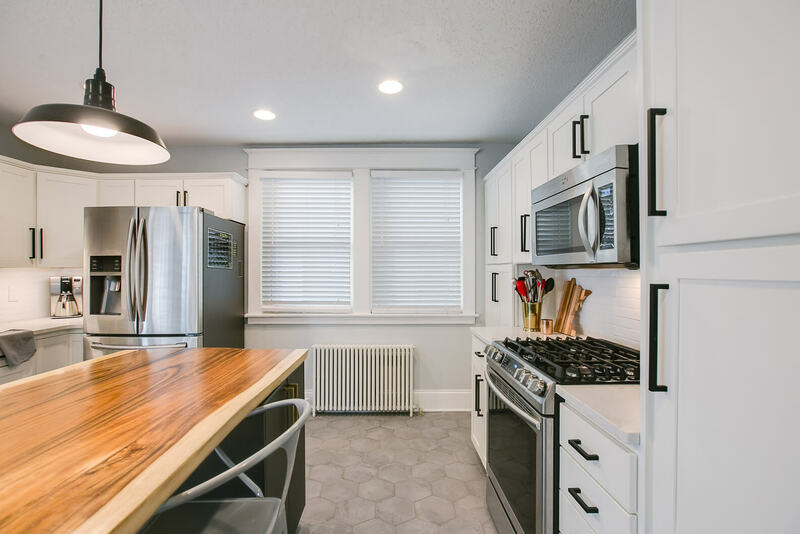 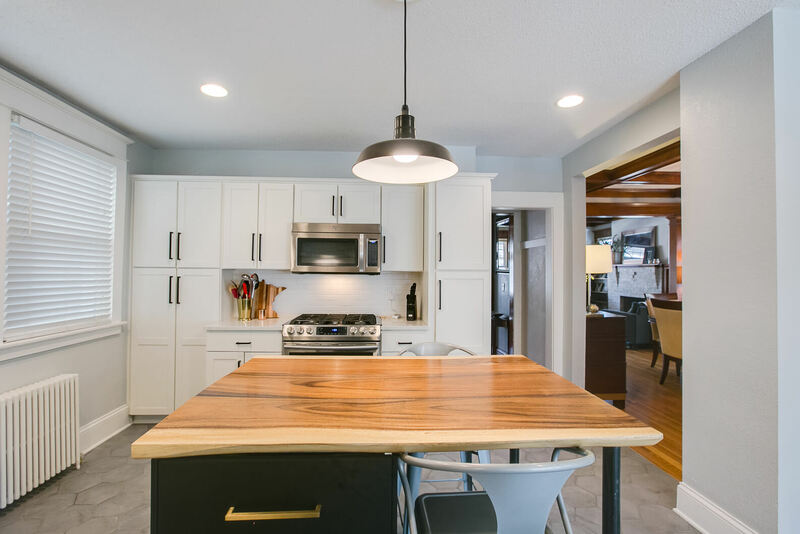 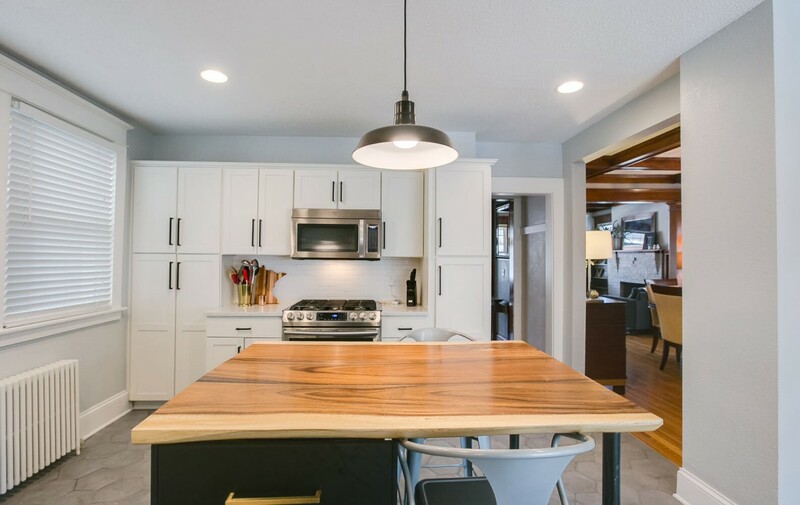 Carefully updated to keep with the style of the home while creating a new, modern feel, this picture perfect kitchen has been exquisitely remodeled to perfection. 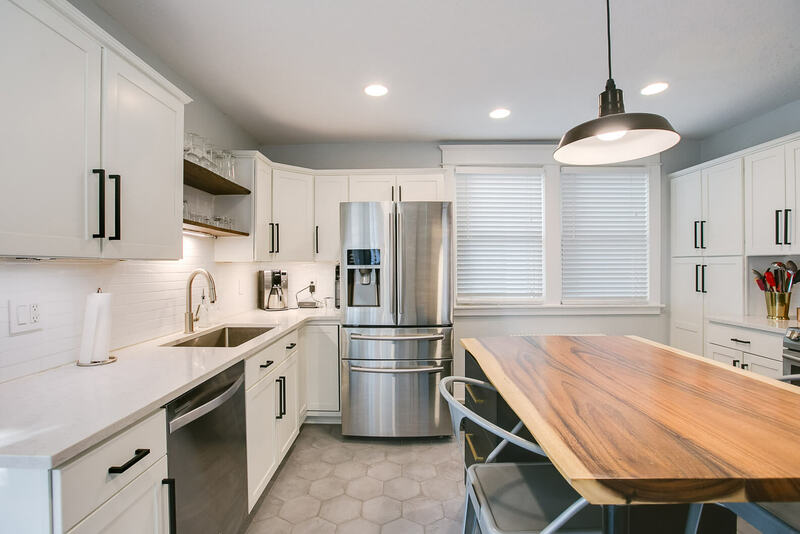 White cabinets contrast beautifully with the dark tile floor and wood center island, while sleek stainless steel appliances add a modern touch. 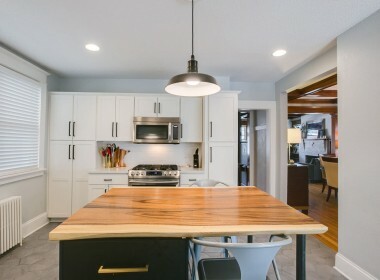 This gourmet kitchen will inspire your inner chef and quickly become the heart of your home! 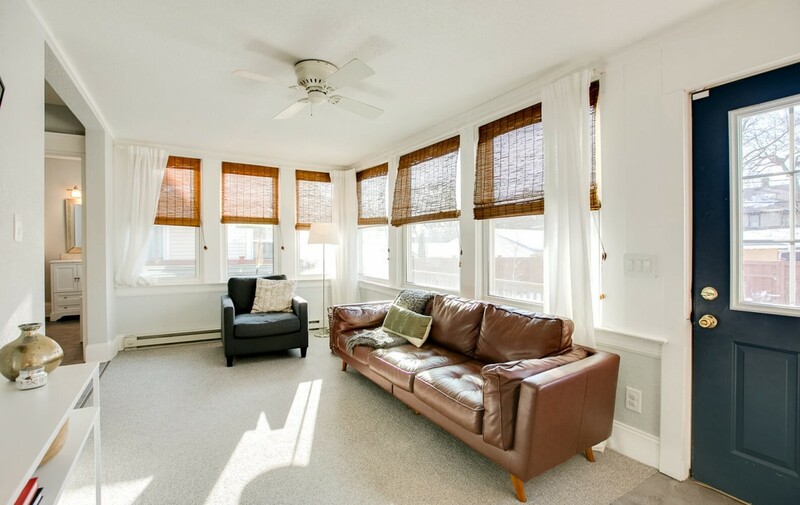 A beautiful sunroom at the rear of the house leads to the lovely fenced backyard. Invite friends and family over for backyard barbecues on the spacious deck, bring your green thumb and try your hand at gardening in the raised garden bed or let the kids and pets run free in the summer sun! 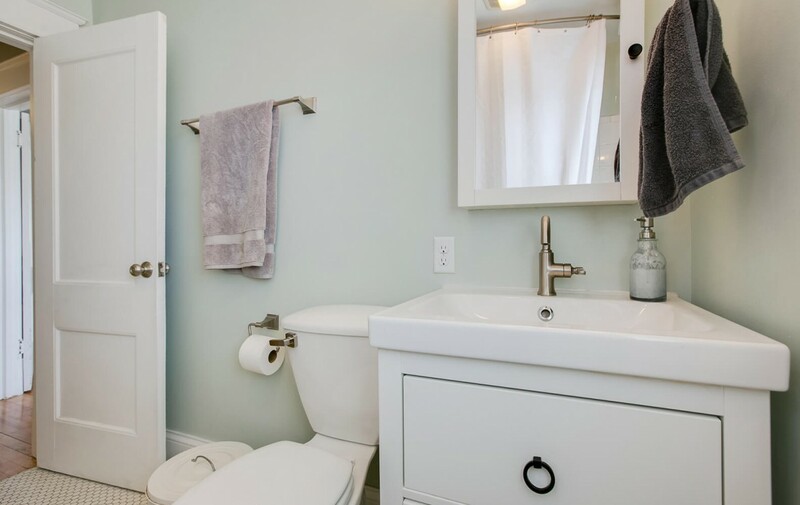 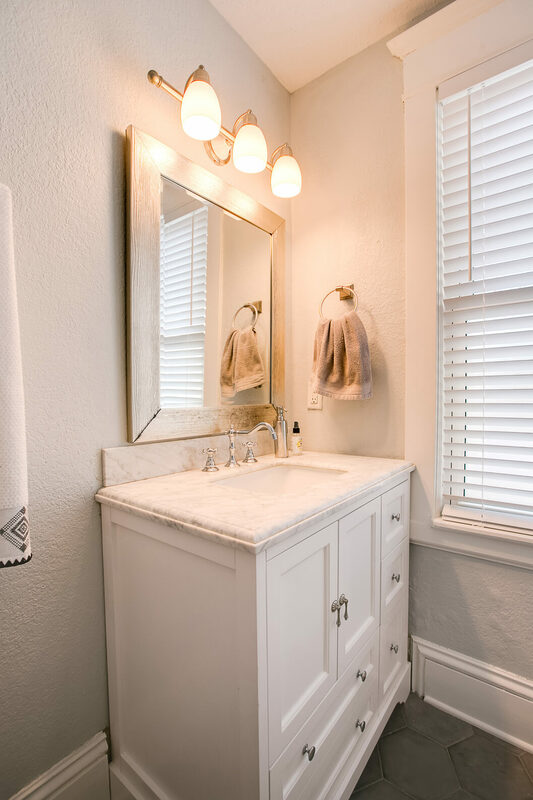 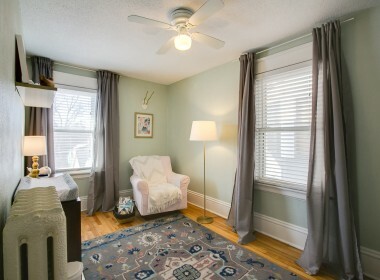 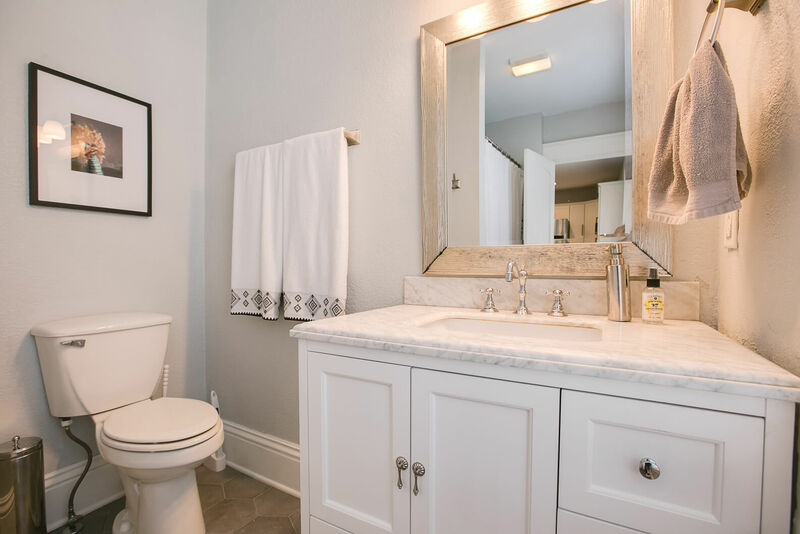 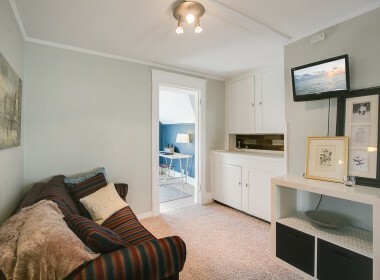 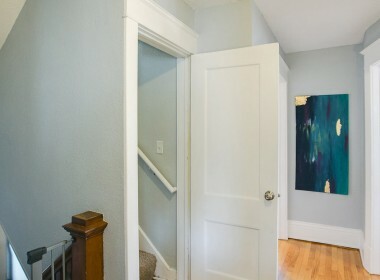 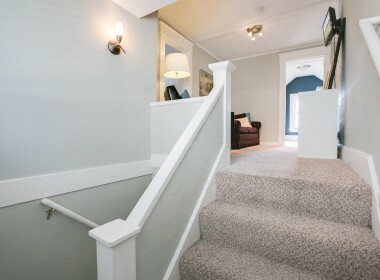 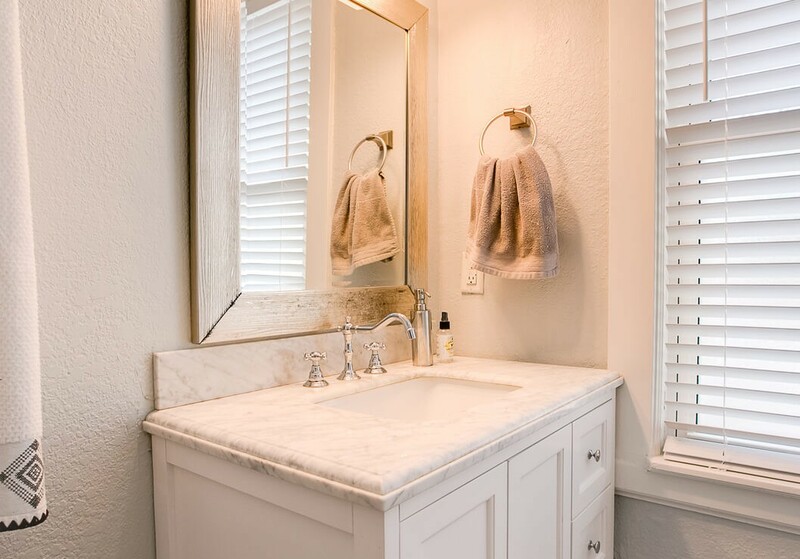 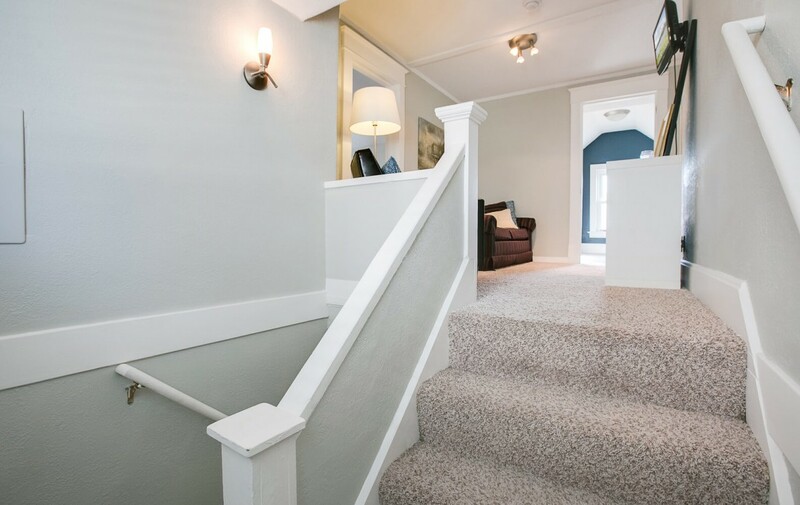 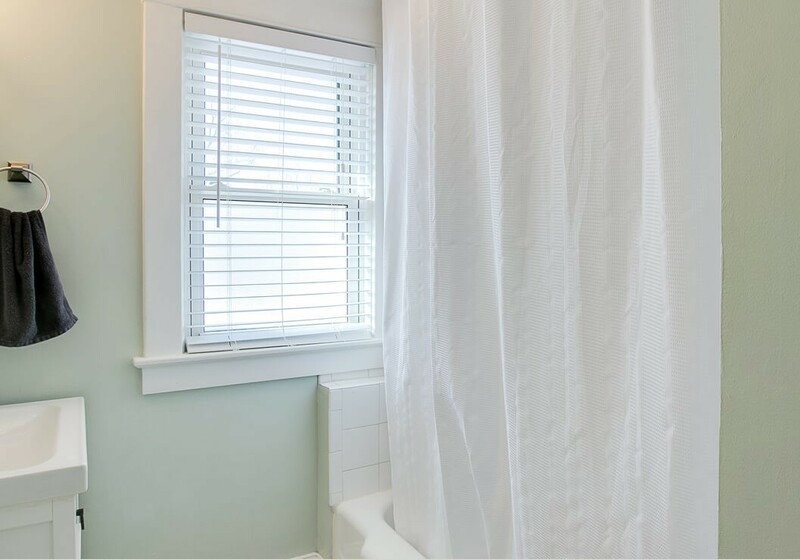 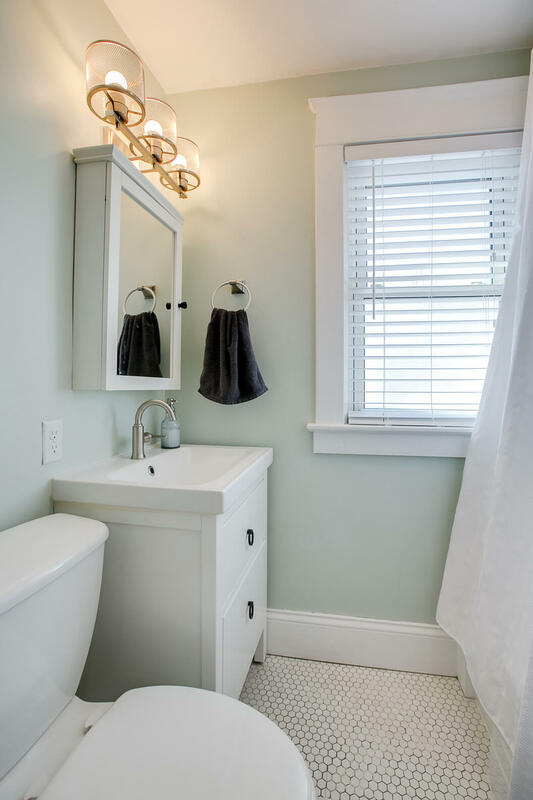 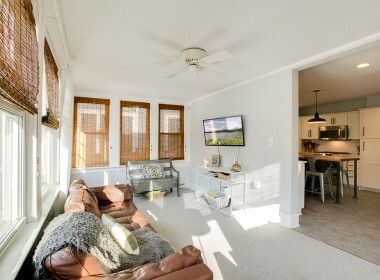 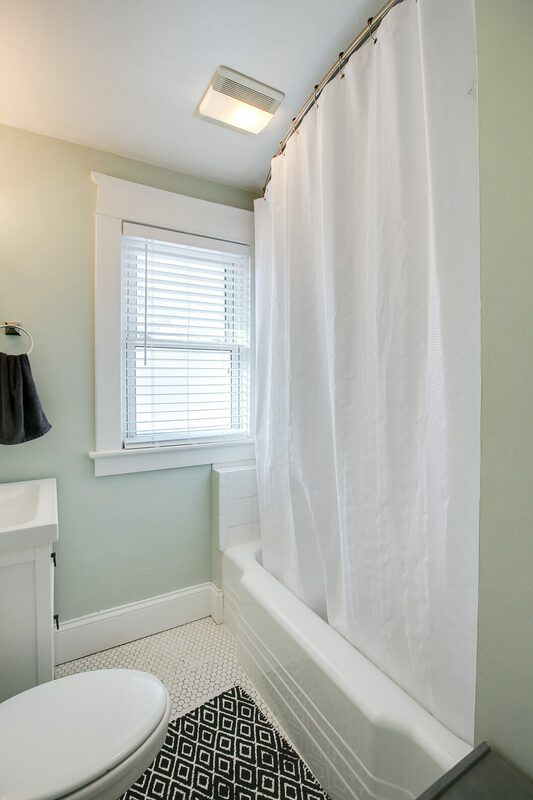 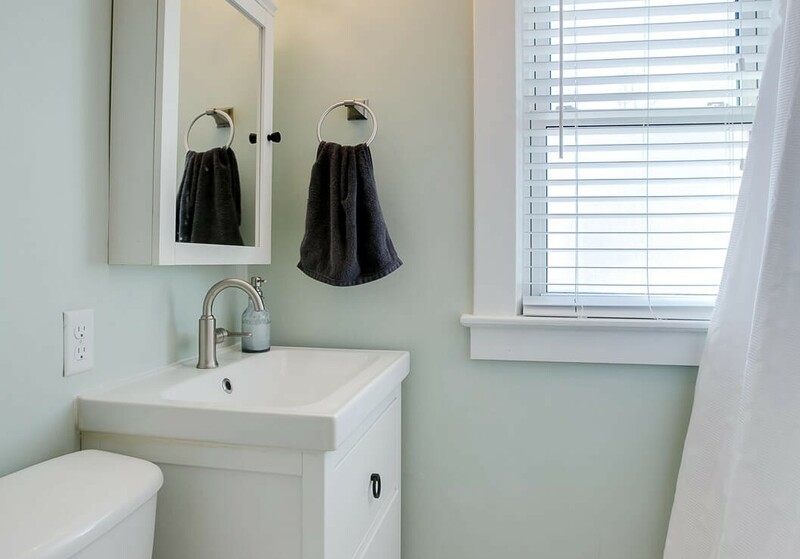 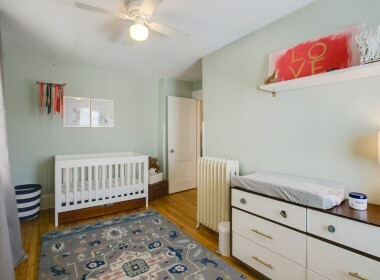 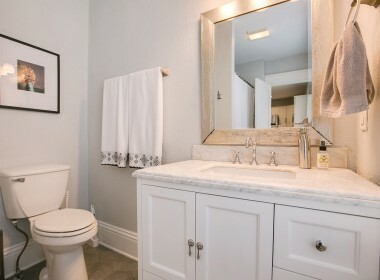 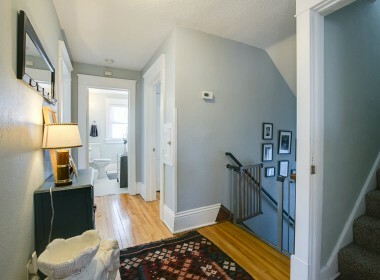 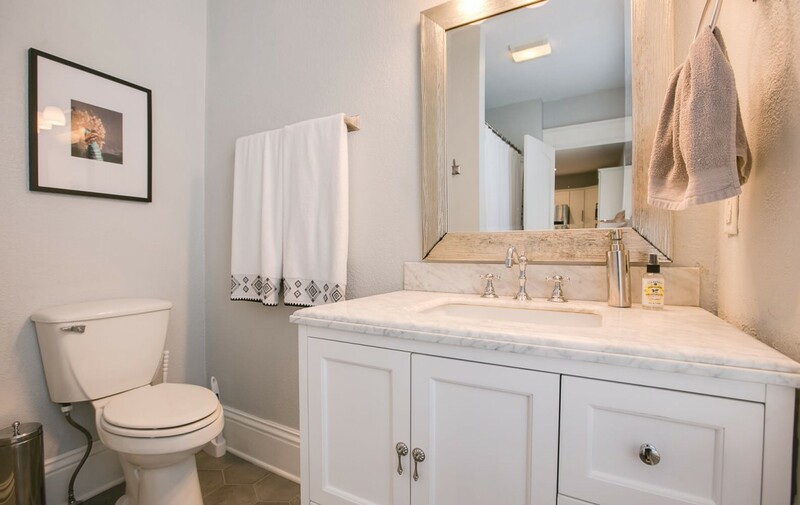 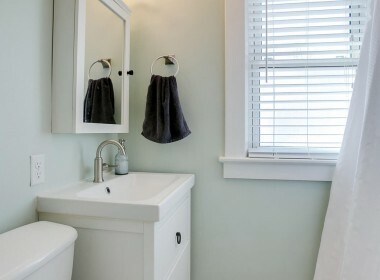 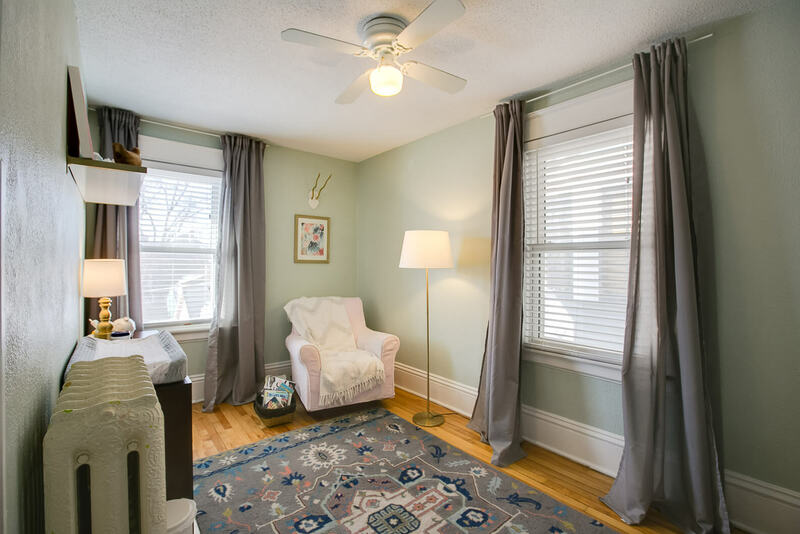 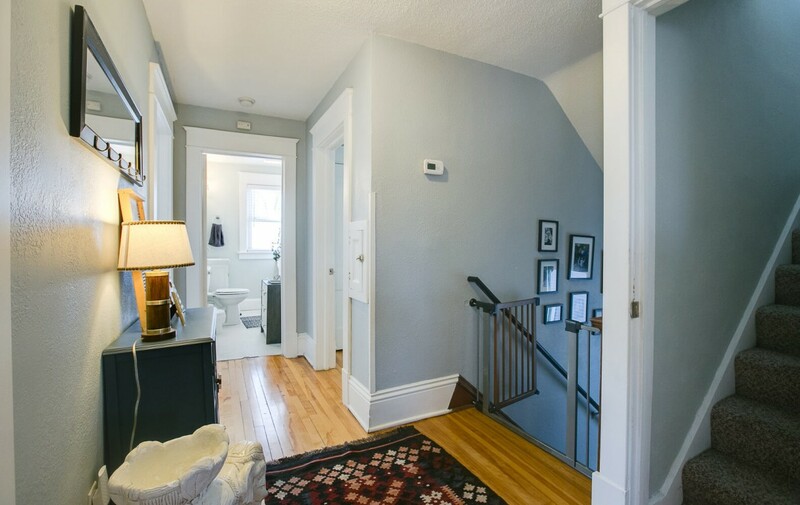 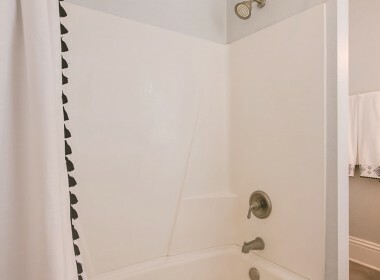 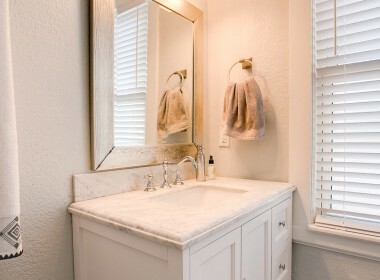 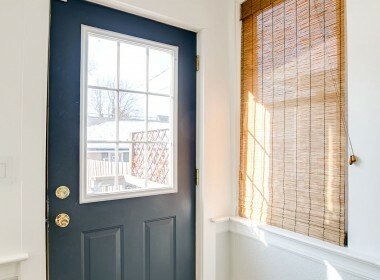 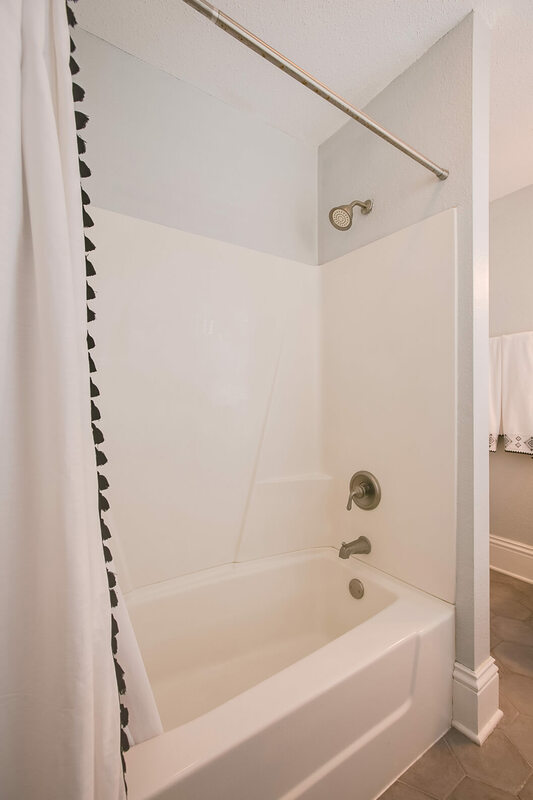 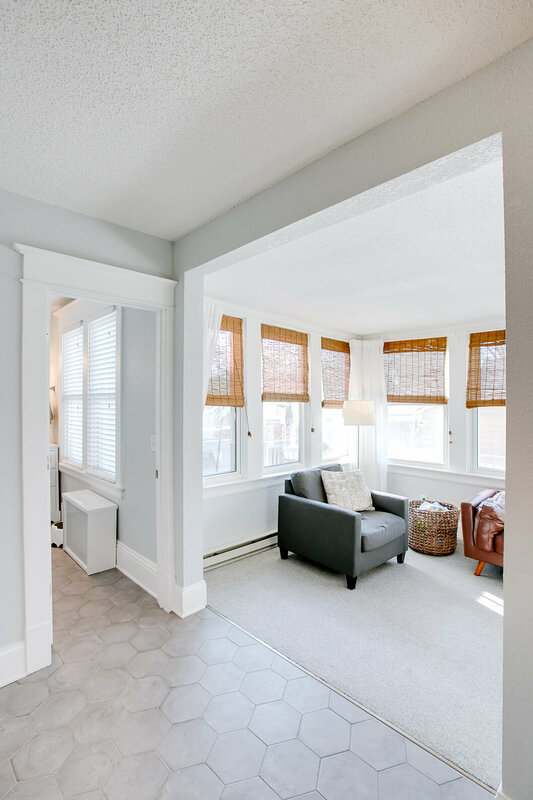 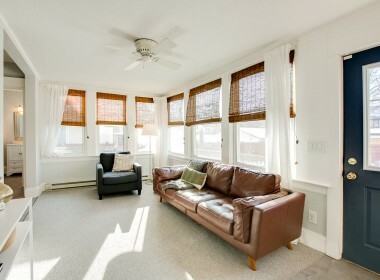 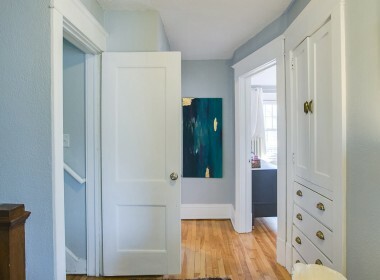 Back inside, the fully updated and conveniently located main floor full bathroom completes the main level. 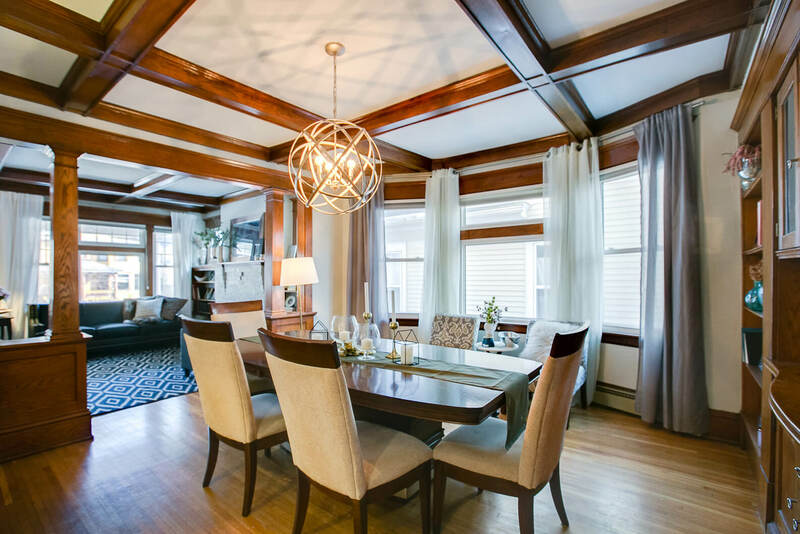 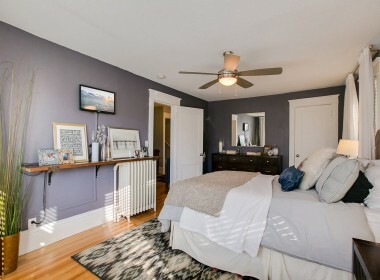 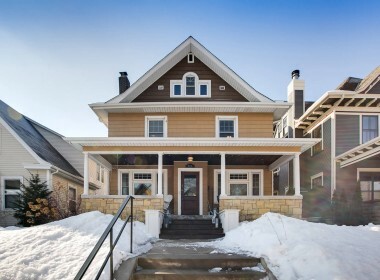 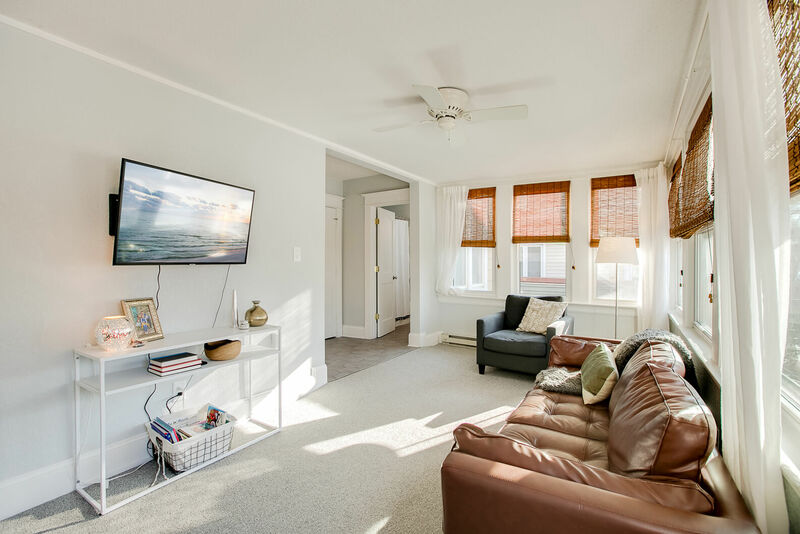 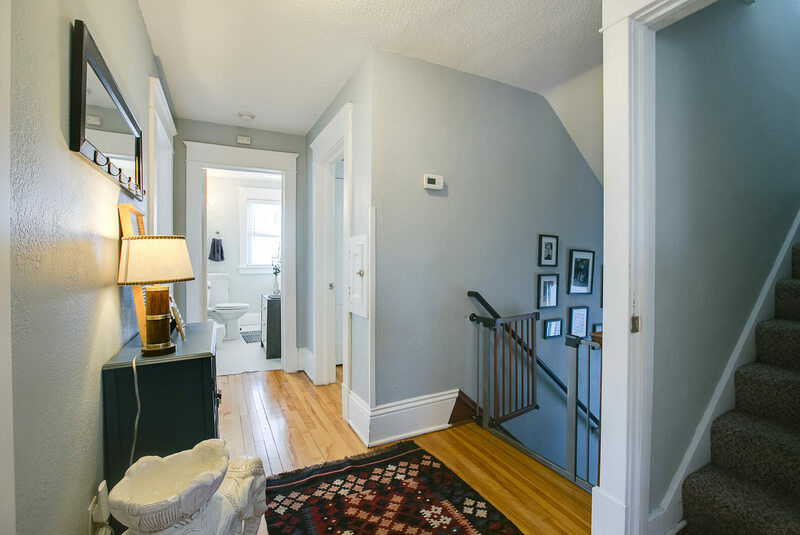 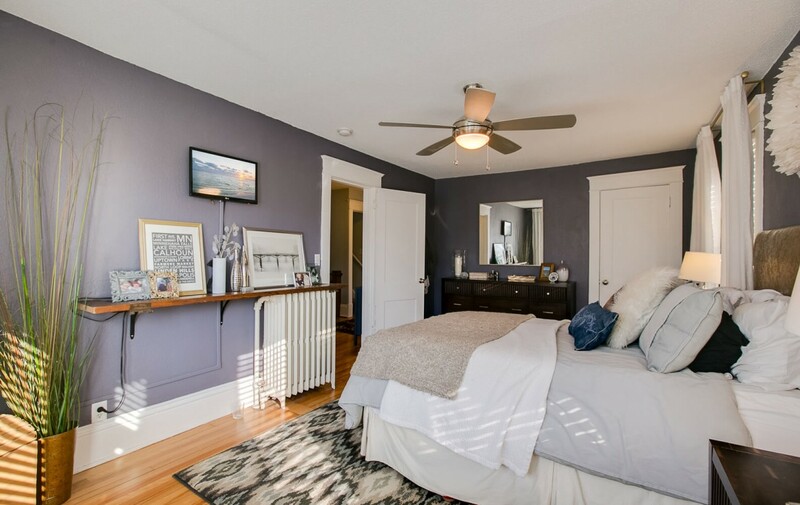 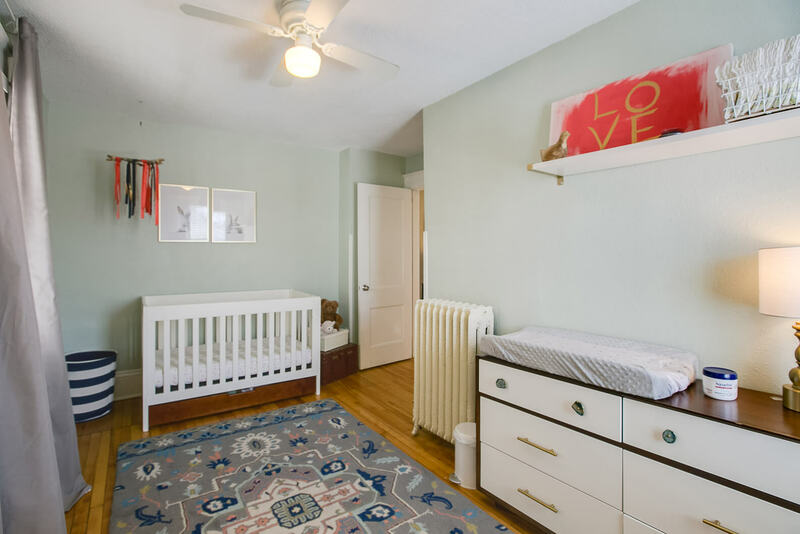 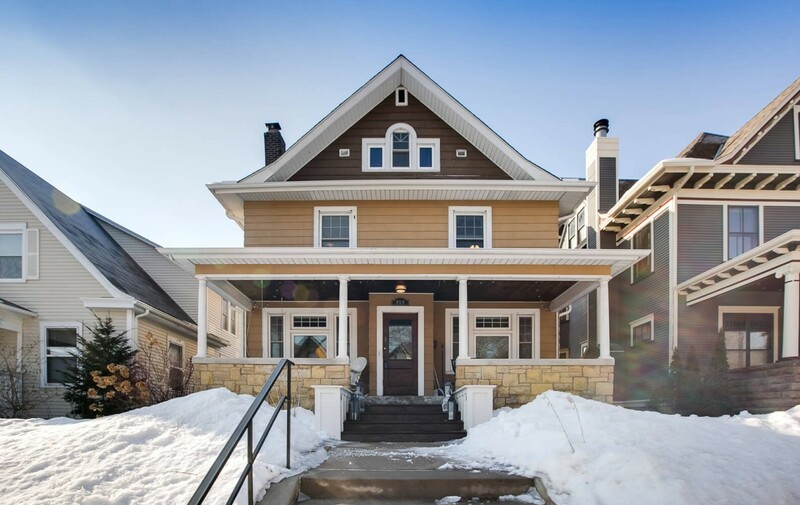 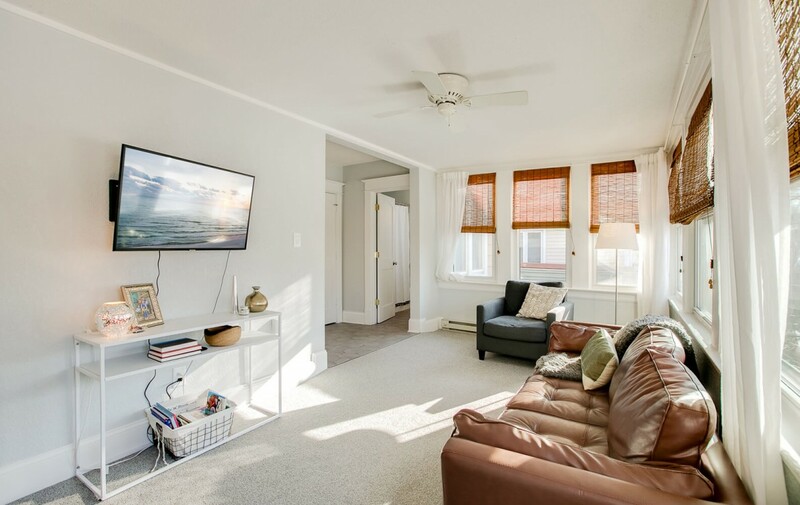 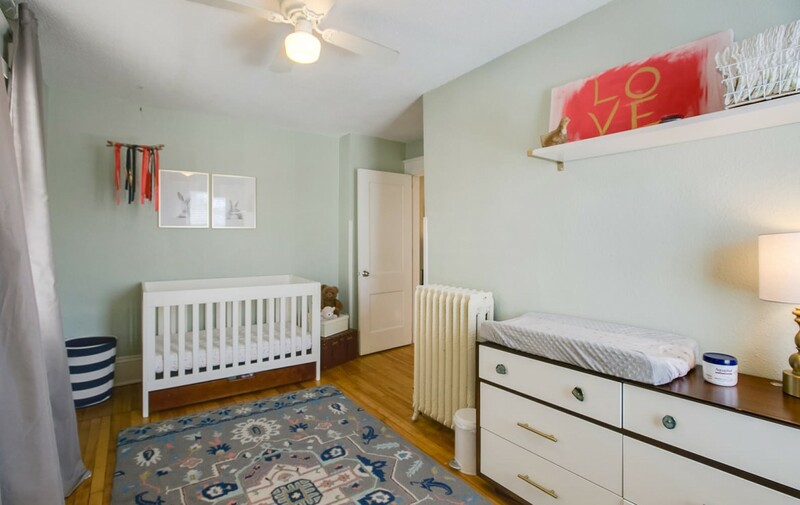 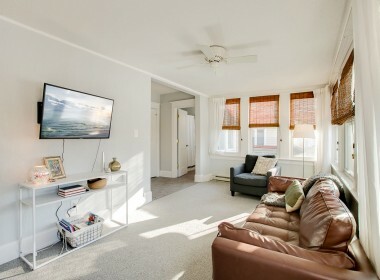 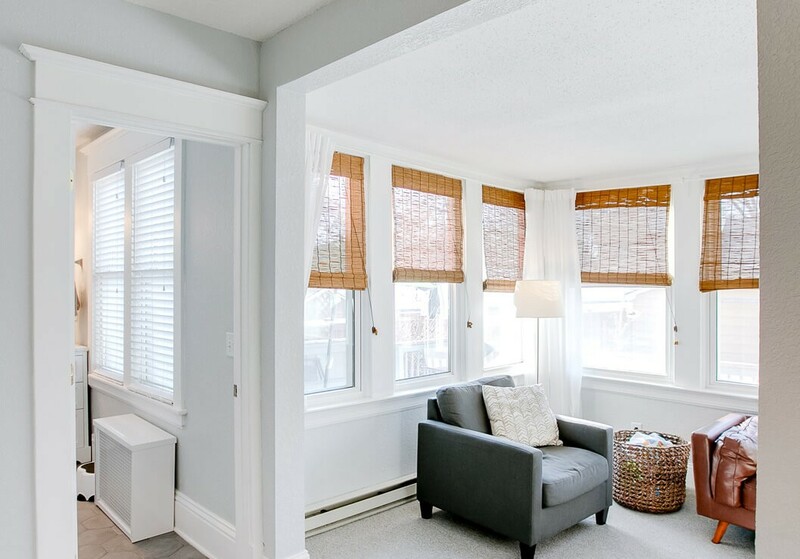 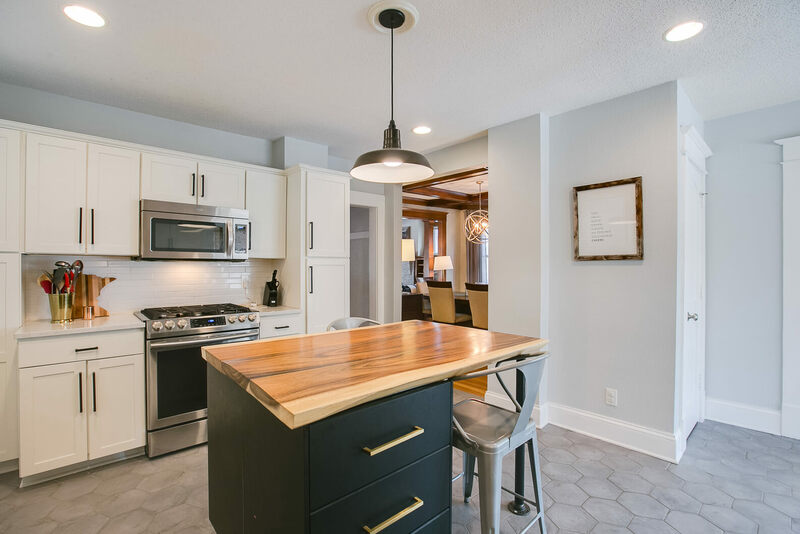 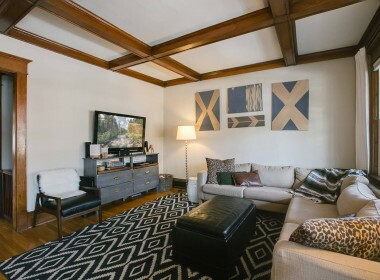 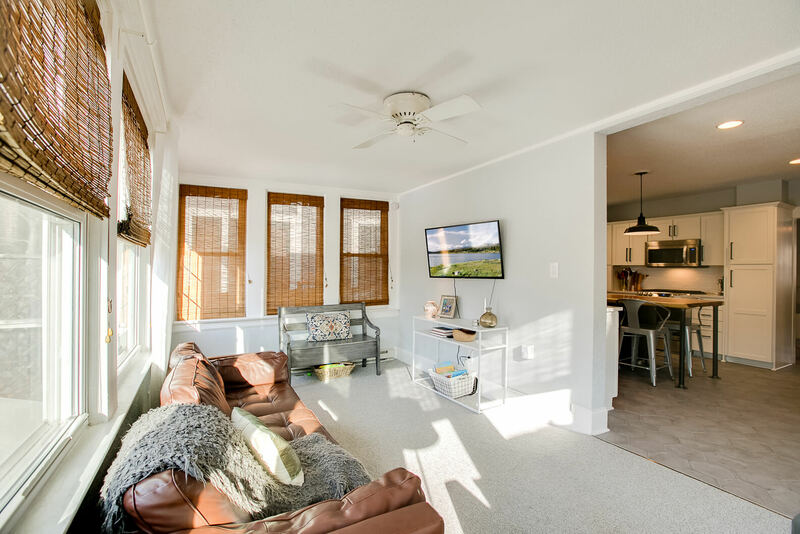 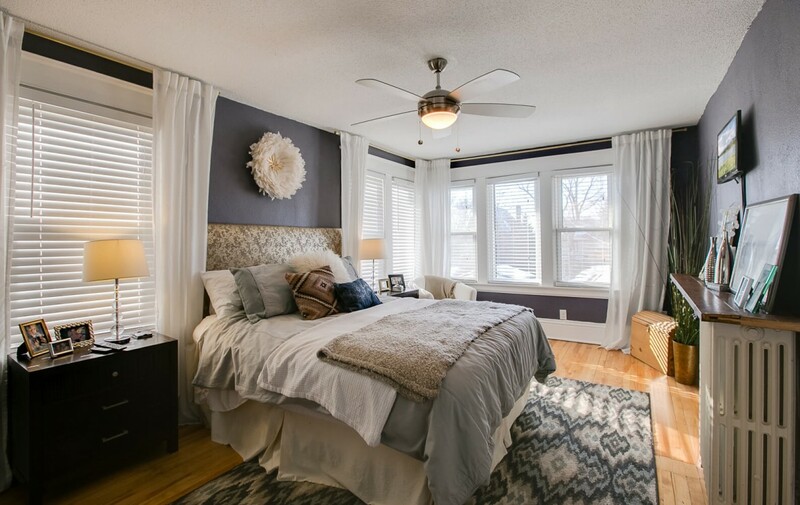 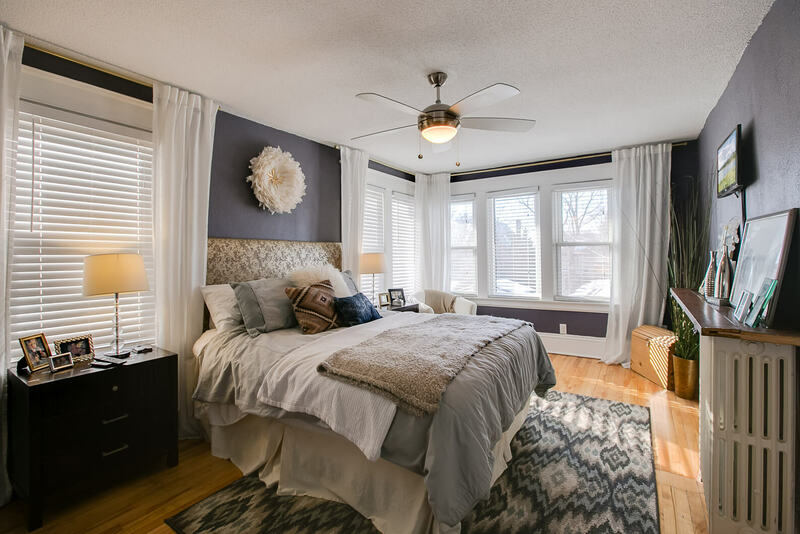 The stylish decor and warmth continues to the 2nd floor….gleaming hardwood floors flow room to room while oodles of natural light highlight the style and grace evident in each of the four bedrooms and full bathroom. 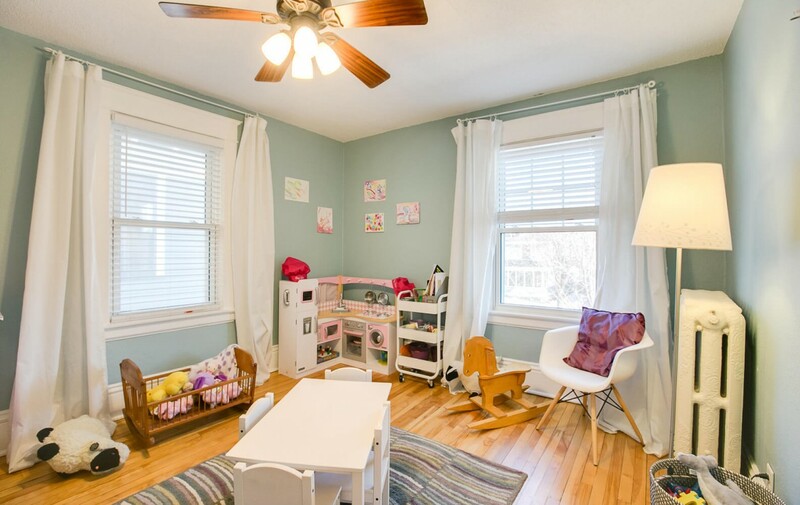 Looking for even more room to spread out? 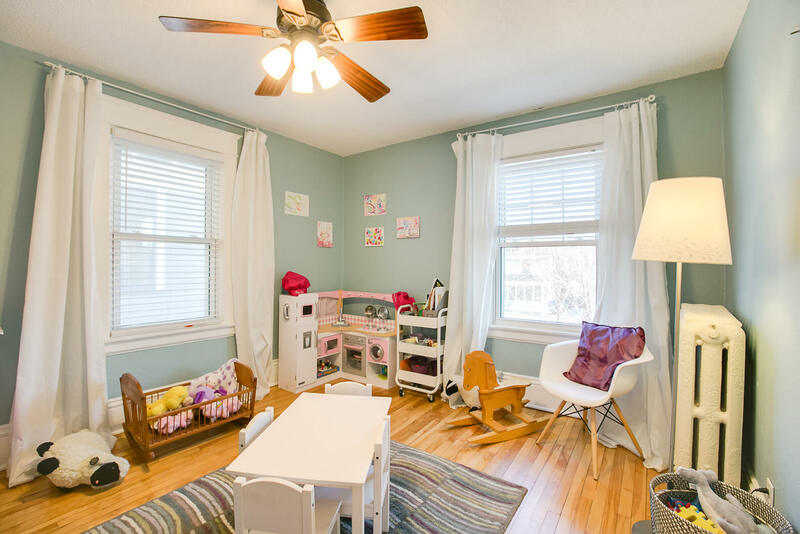 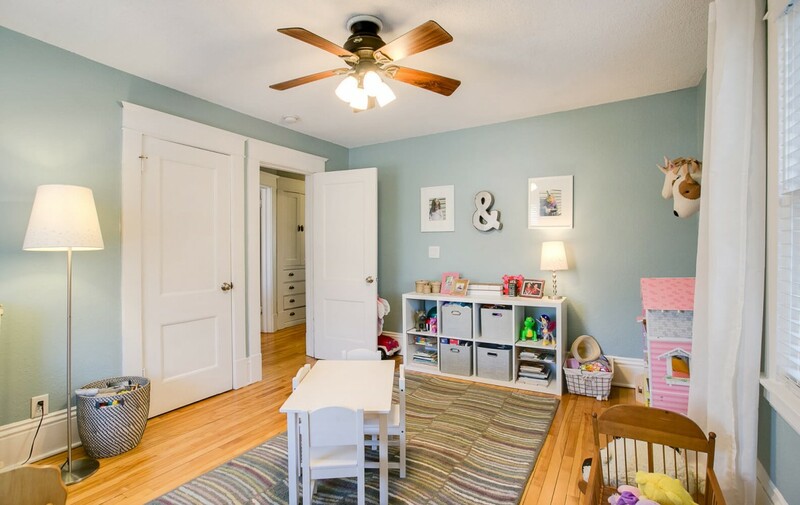 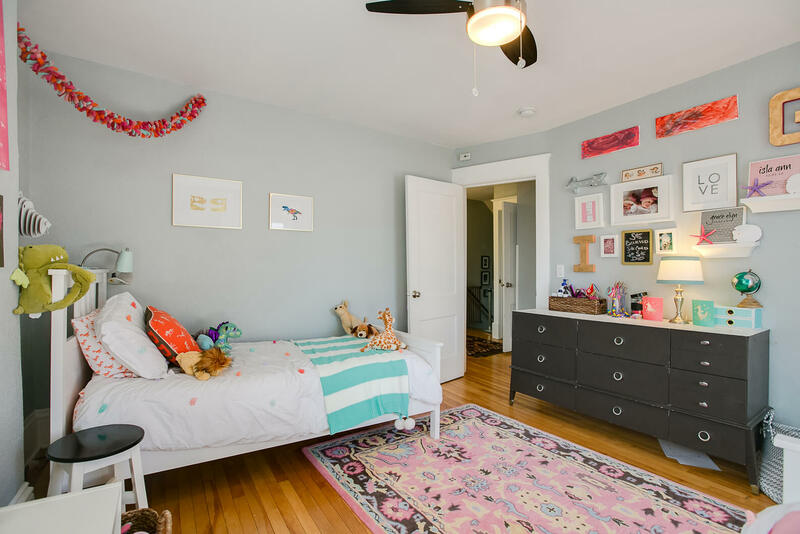 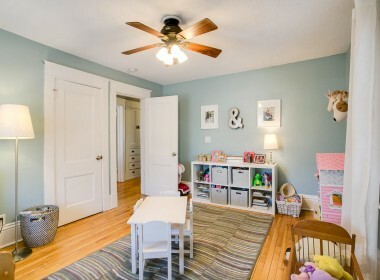 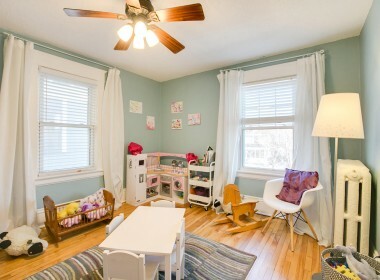 The fully finished attic with central living room and two bonus rooms provides a wonderfully flexible floor plan! 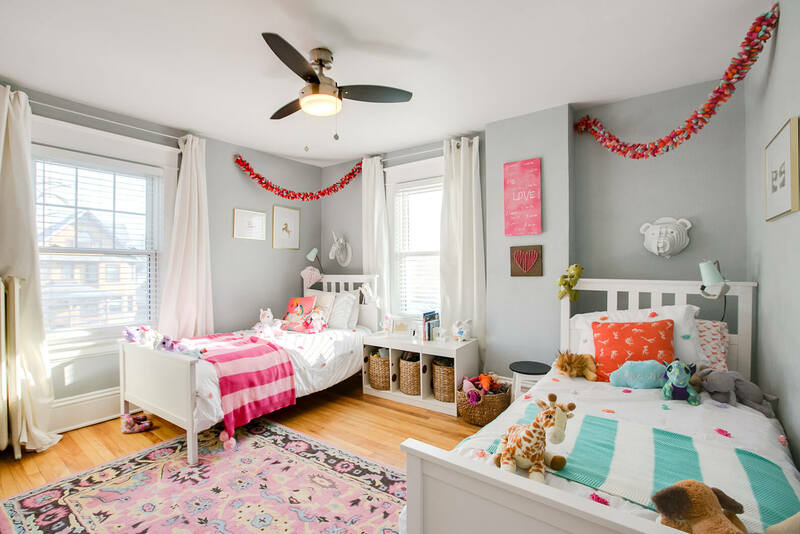 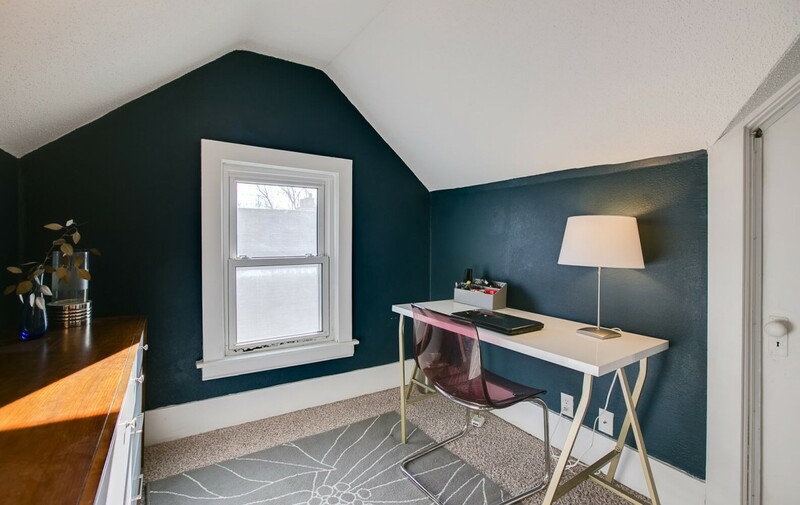 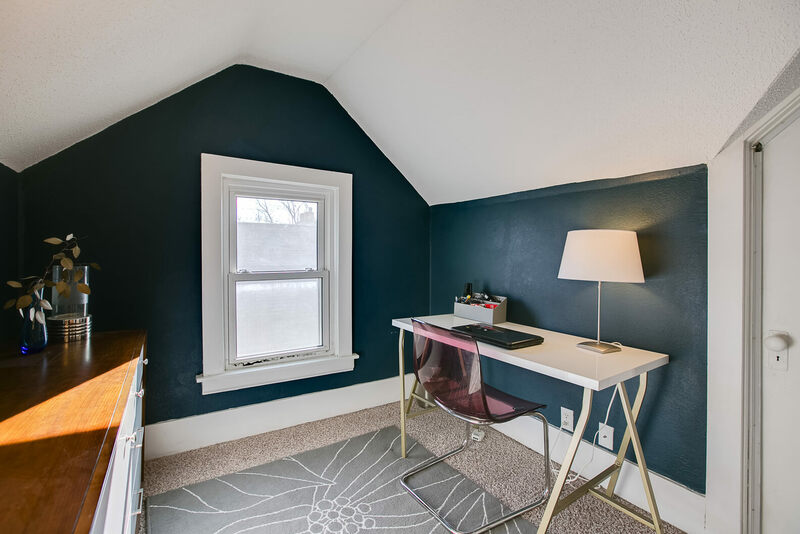 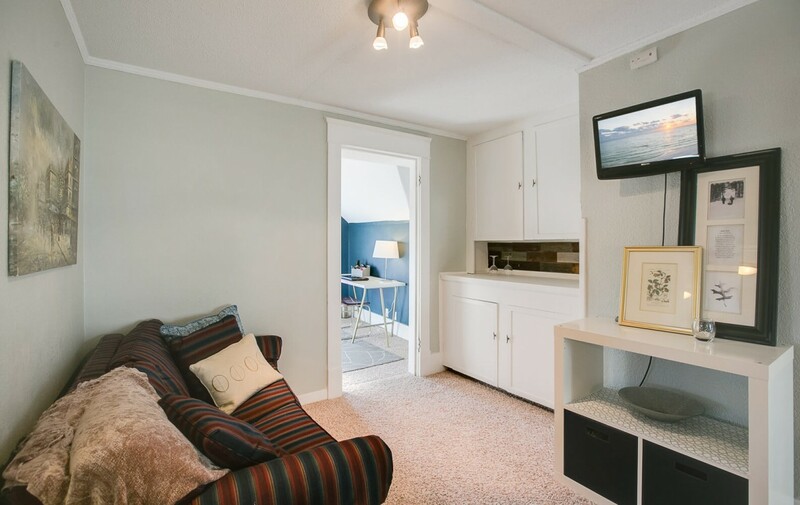 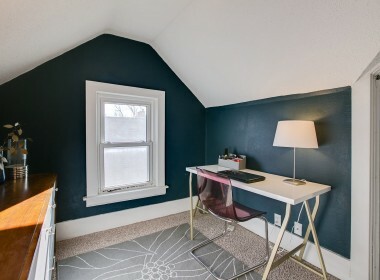 Mother-in-law suite, kids play area, man cave, master suite retreat, family room…No matter what your needs, this gorgeous attic provides the opportunity to create your dream space.